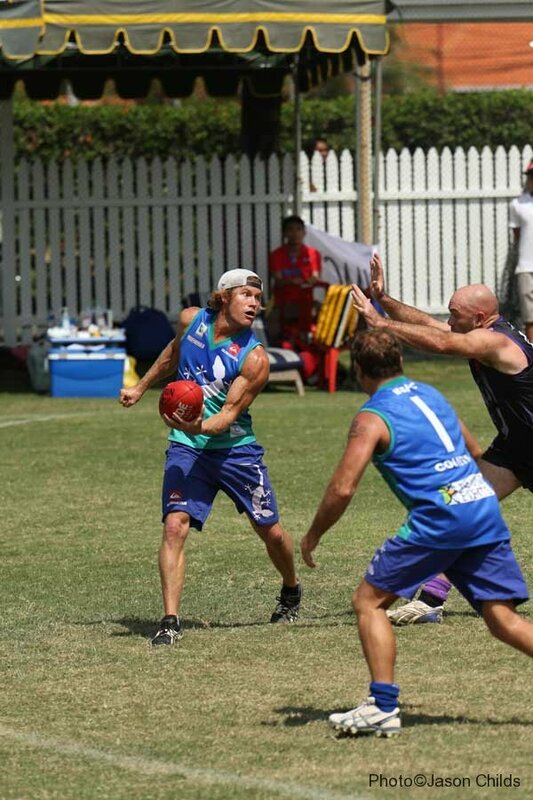 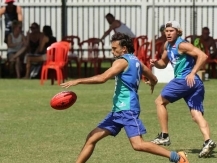 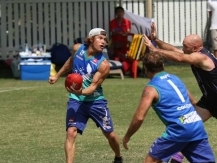 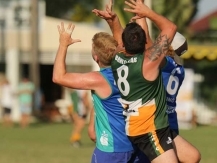 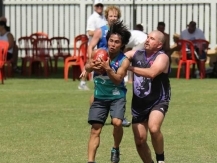 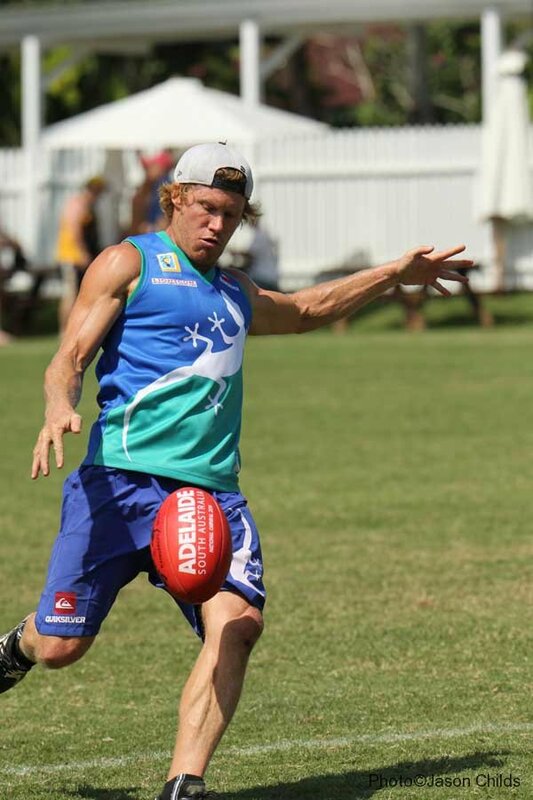 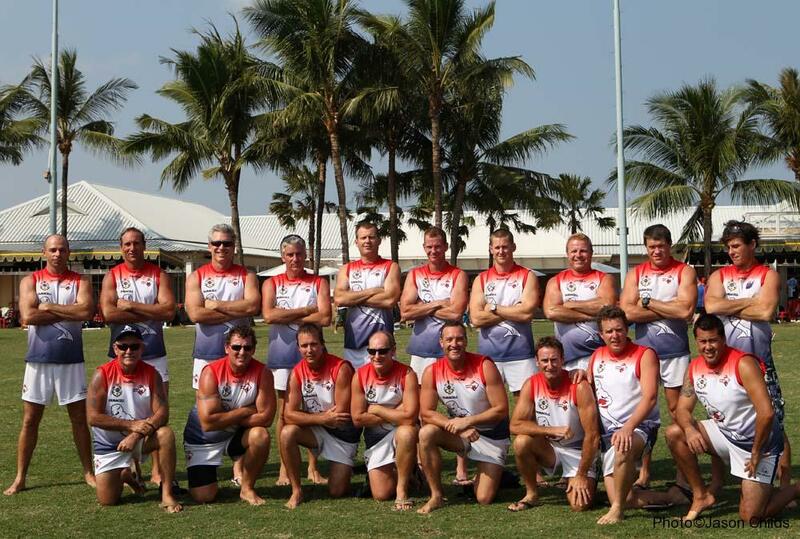 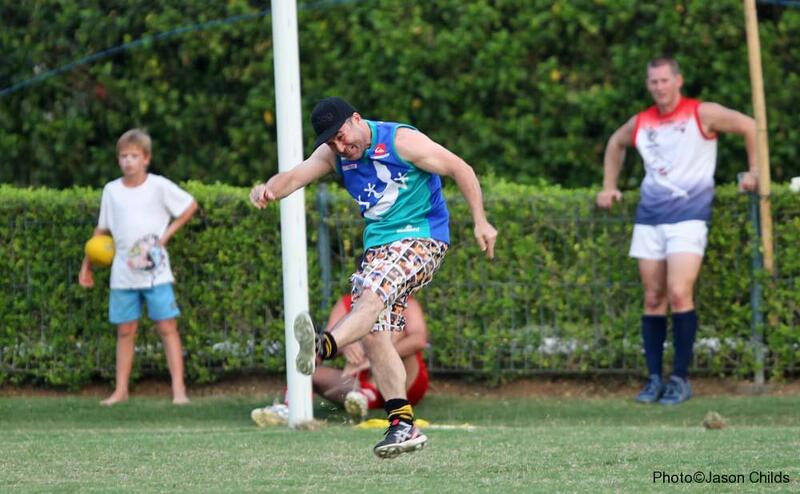 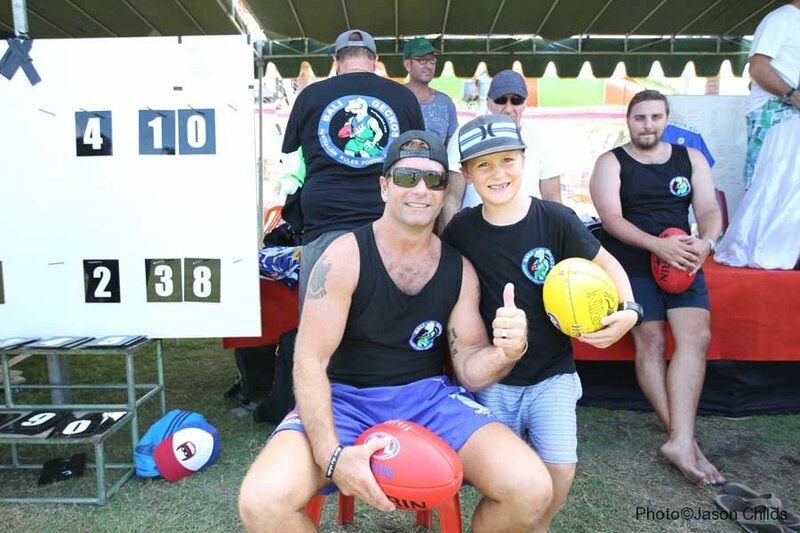 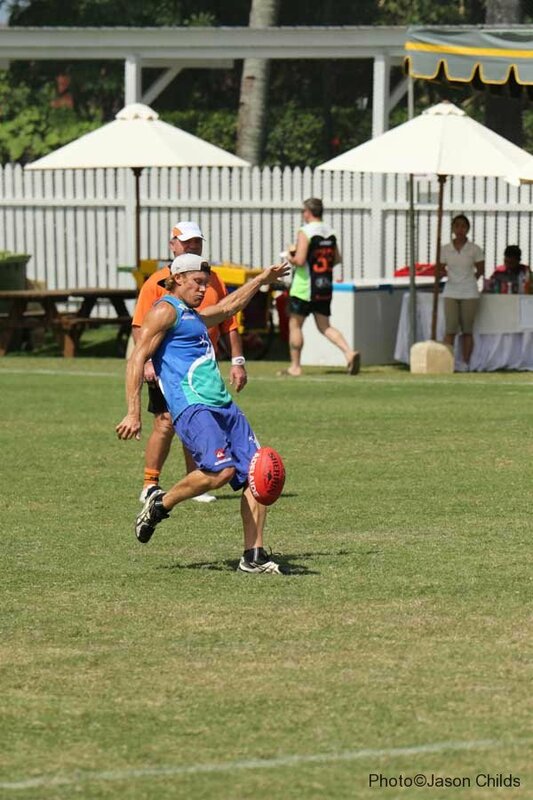 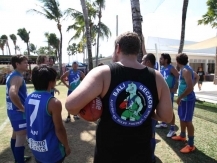 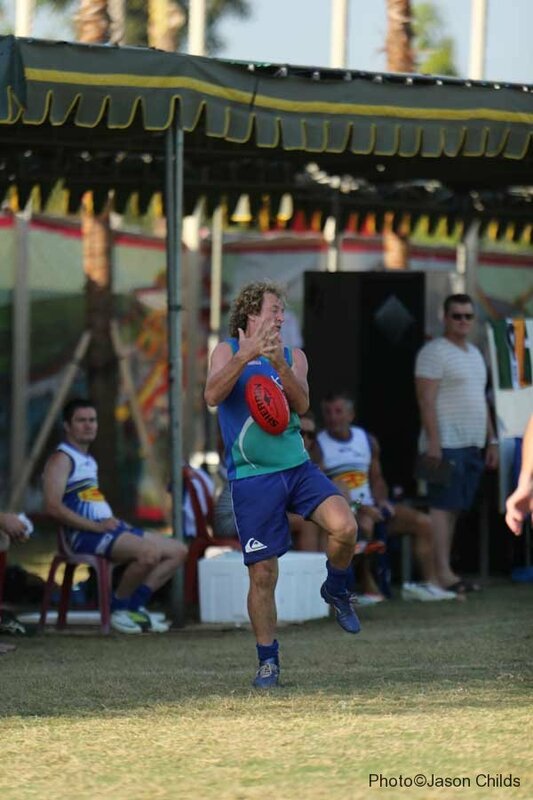 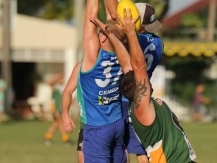 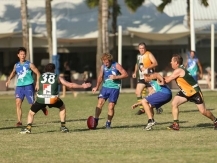 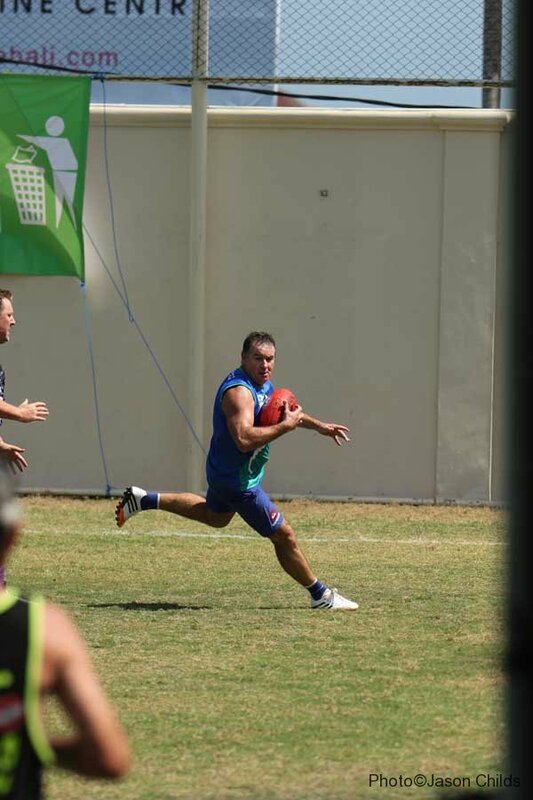 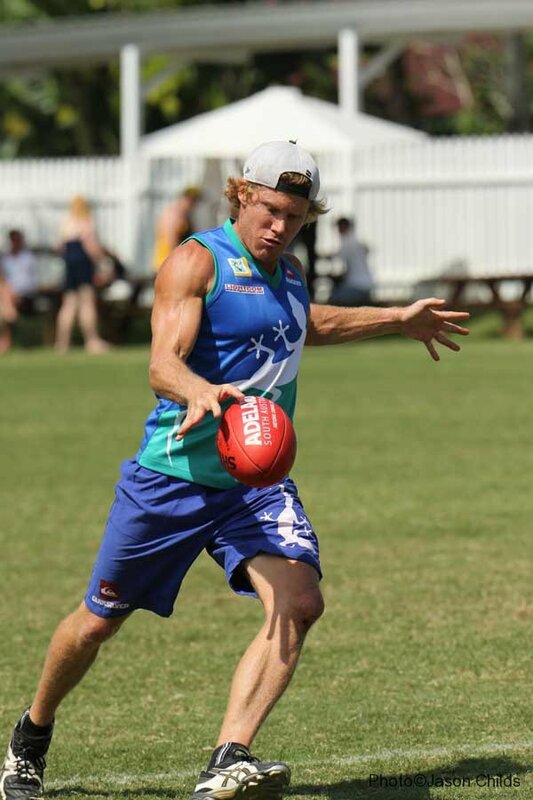 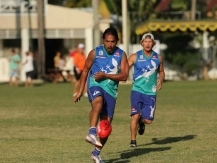 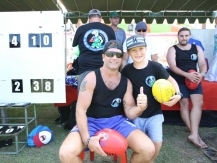 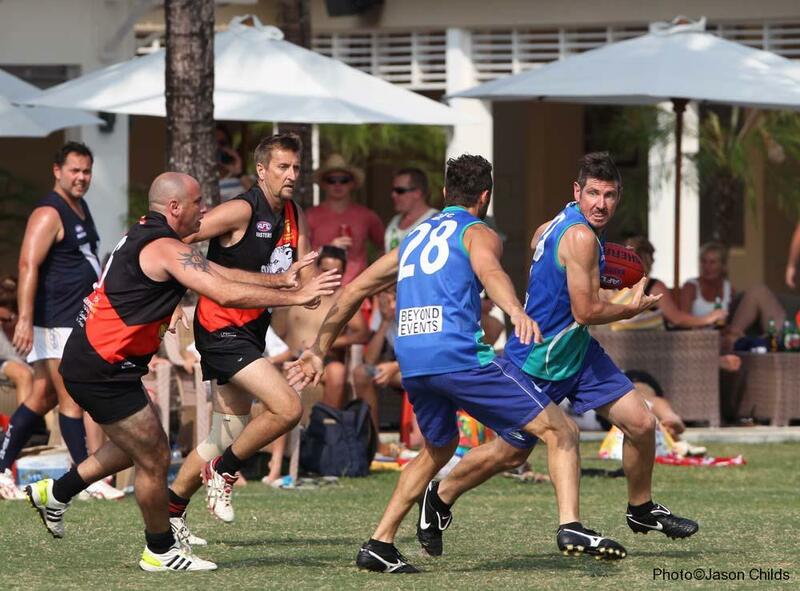 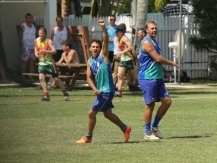 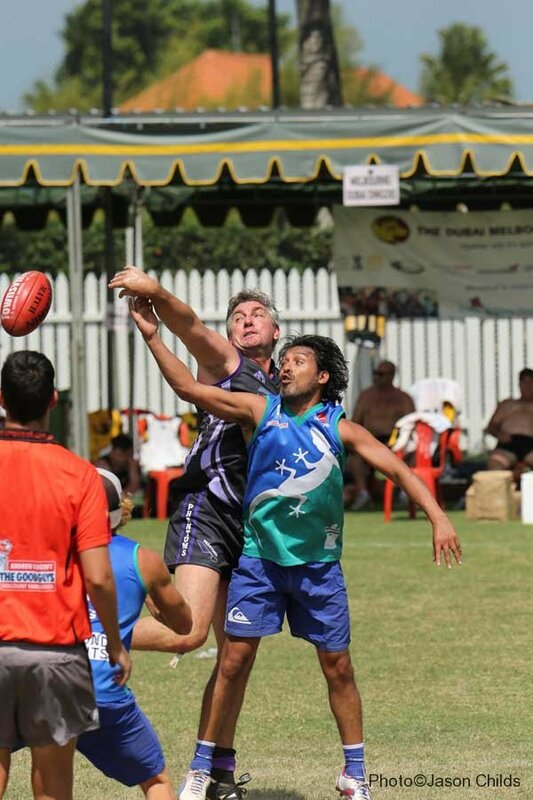 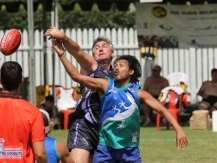 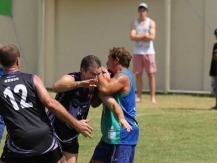 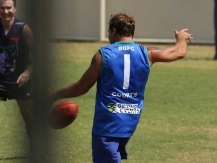 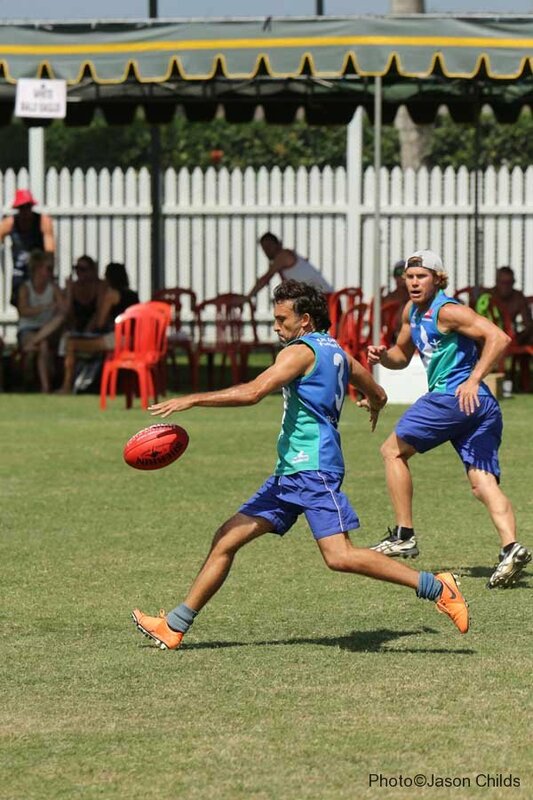 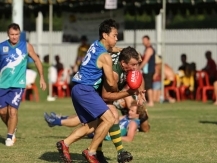 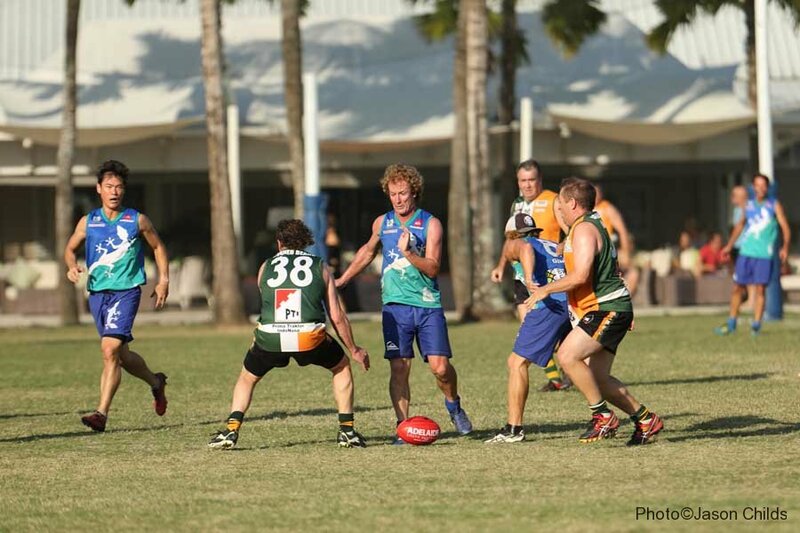 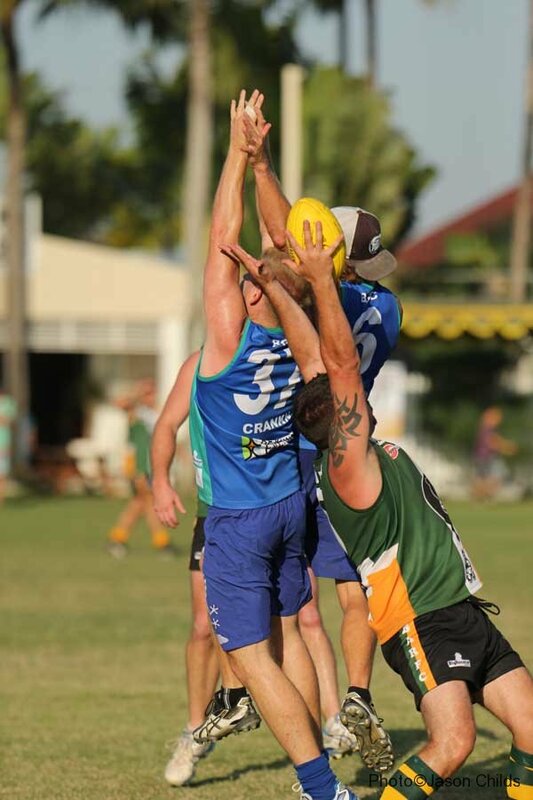 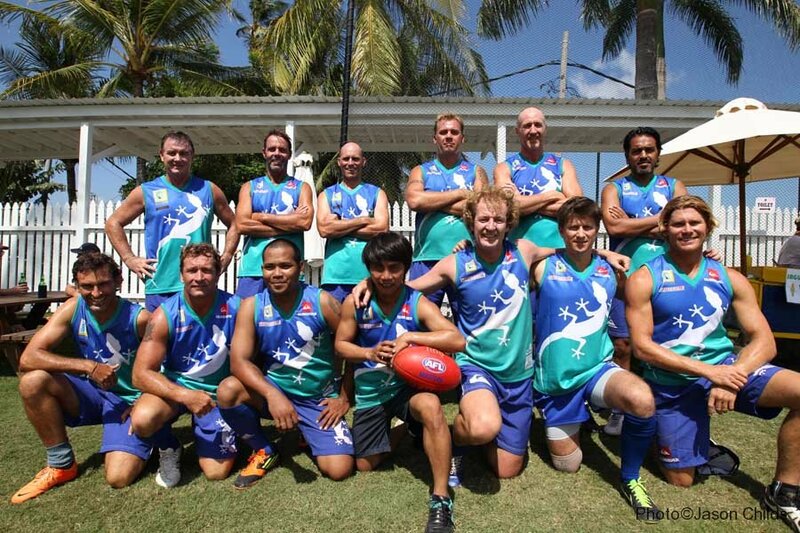 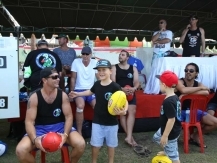 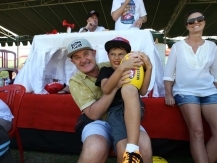 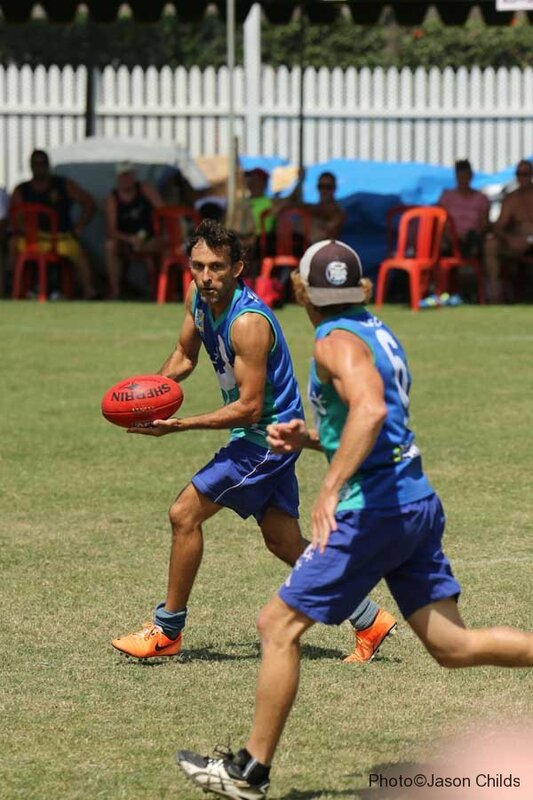 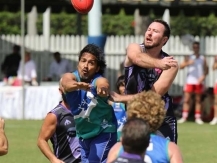 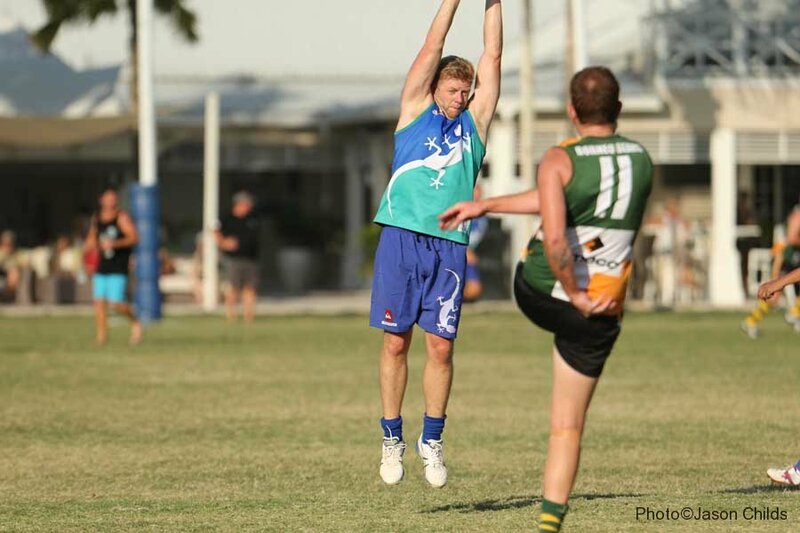 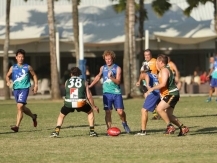 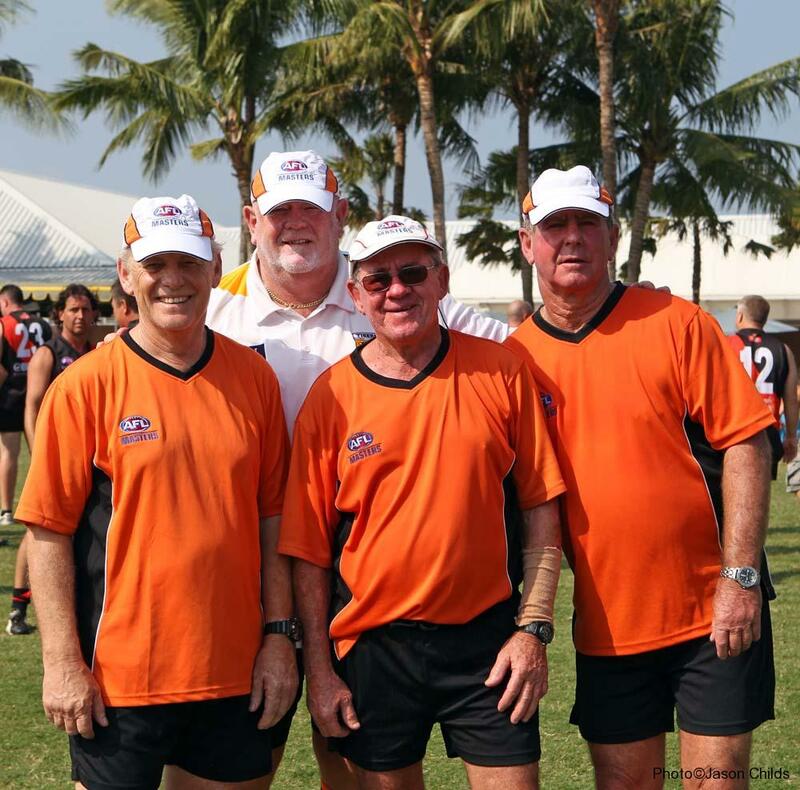 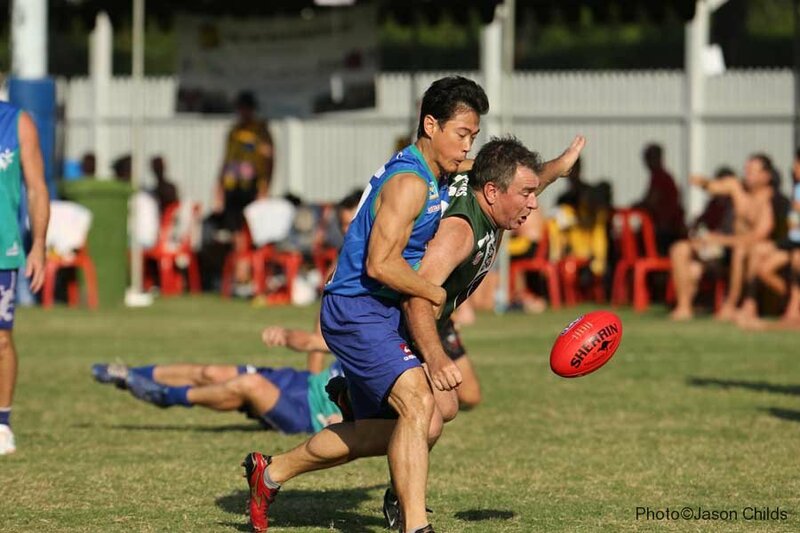 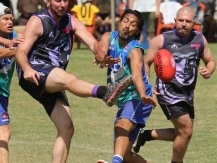 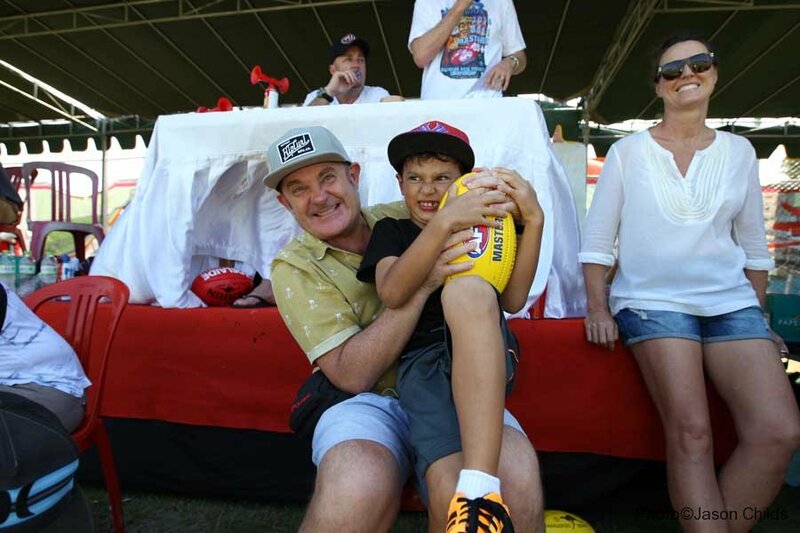 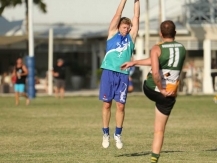 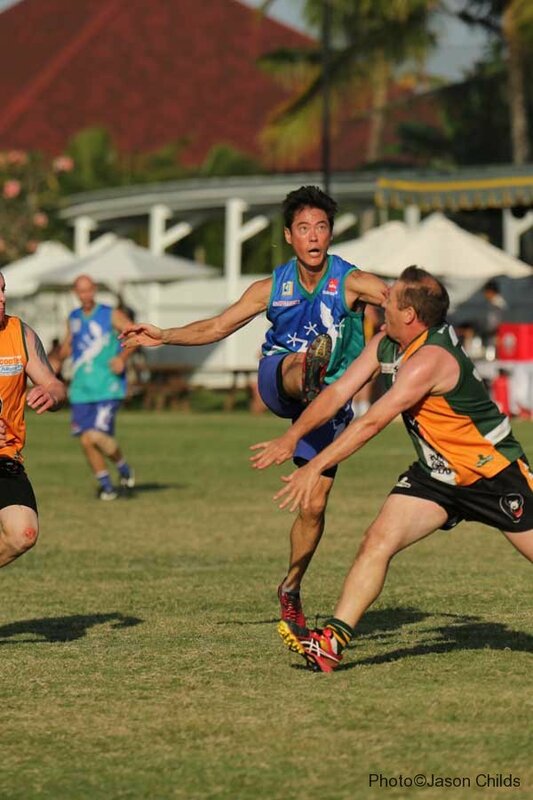 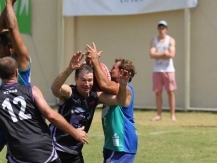 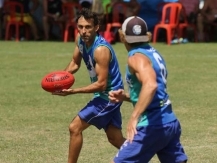 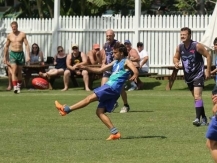 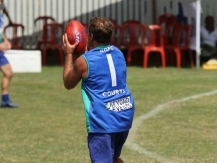 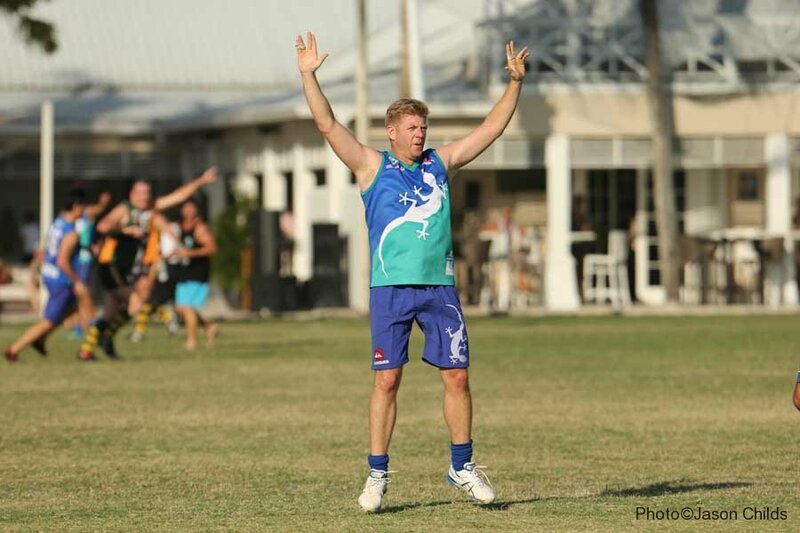 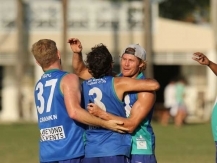 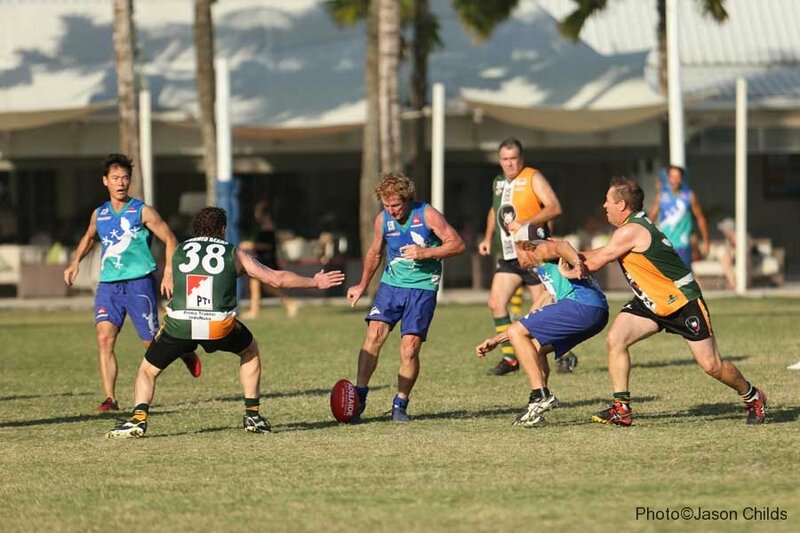 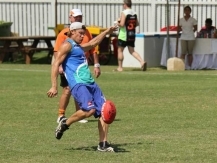 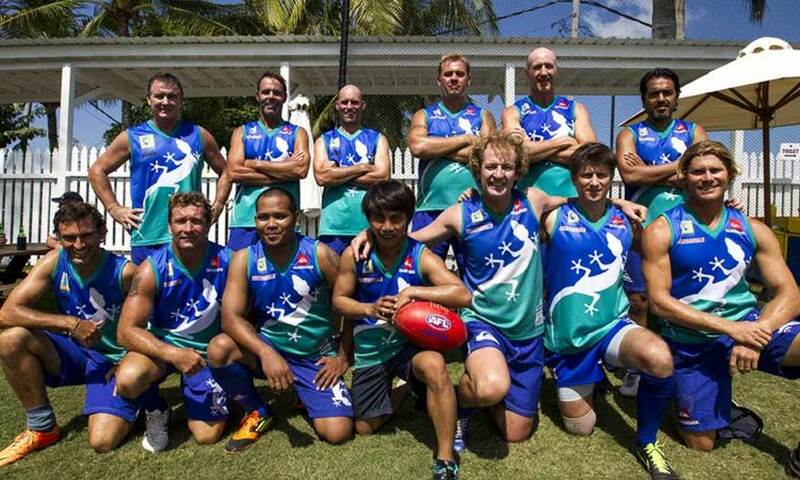 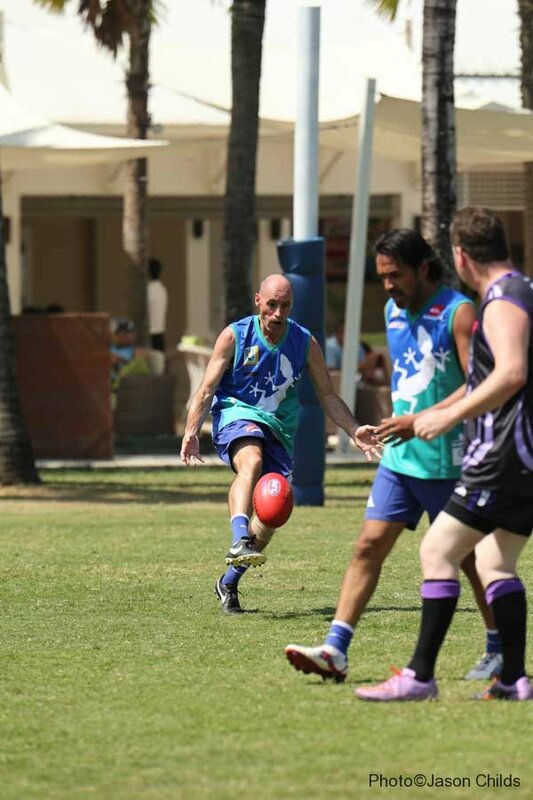 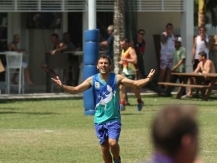 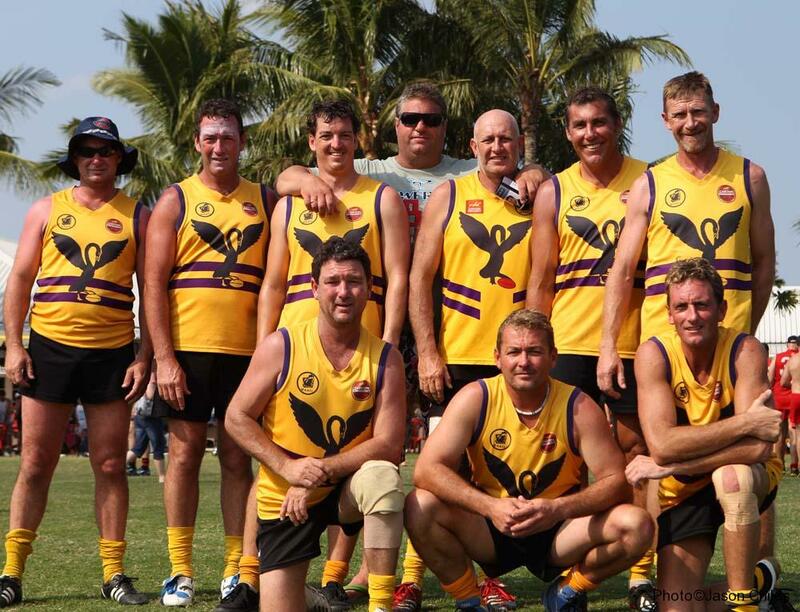 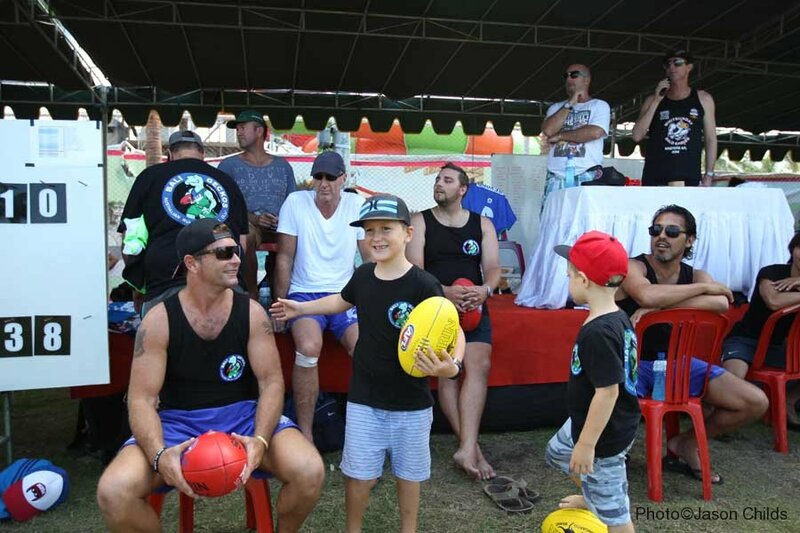 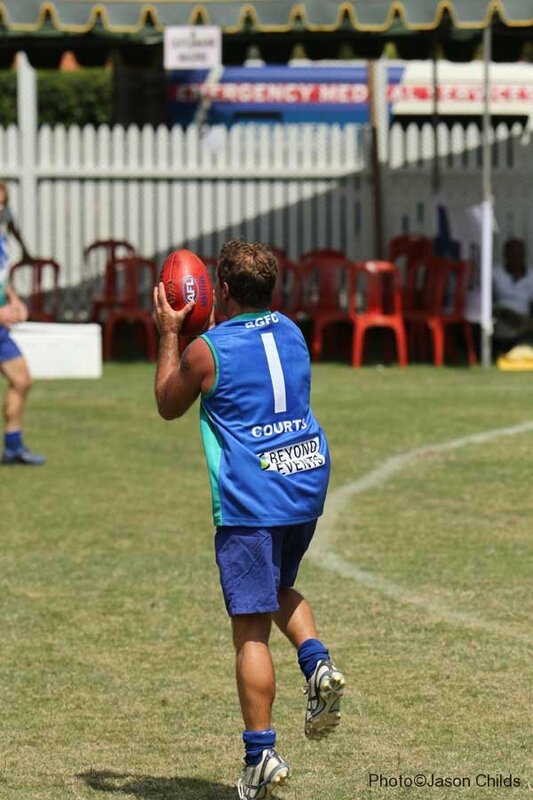 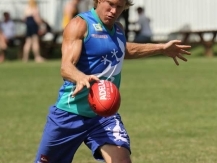 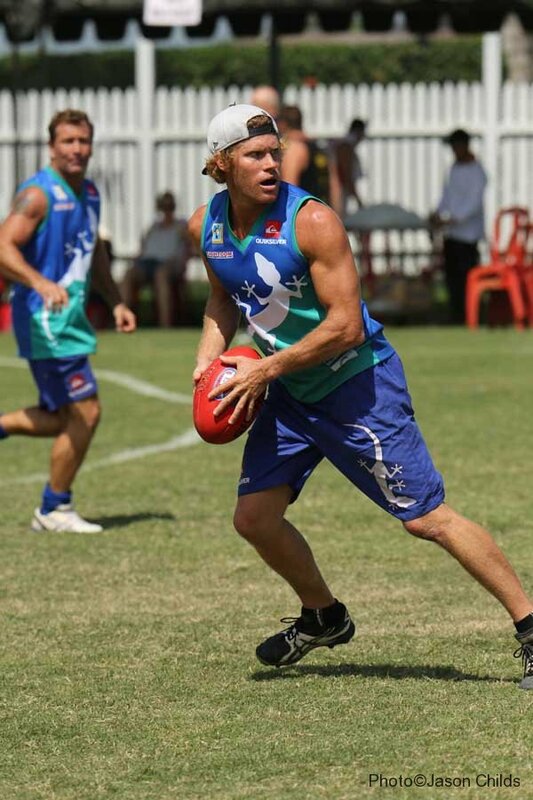 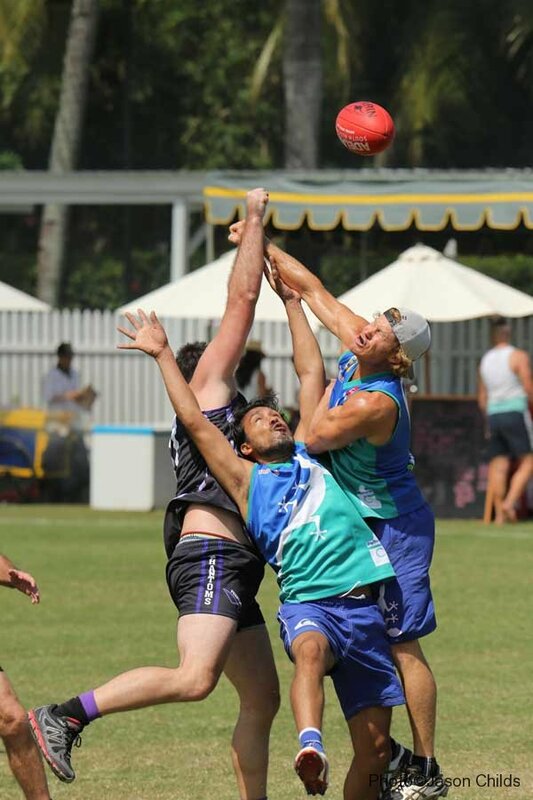 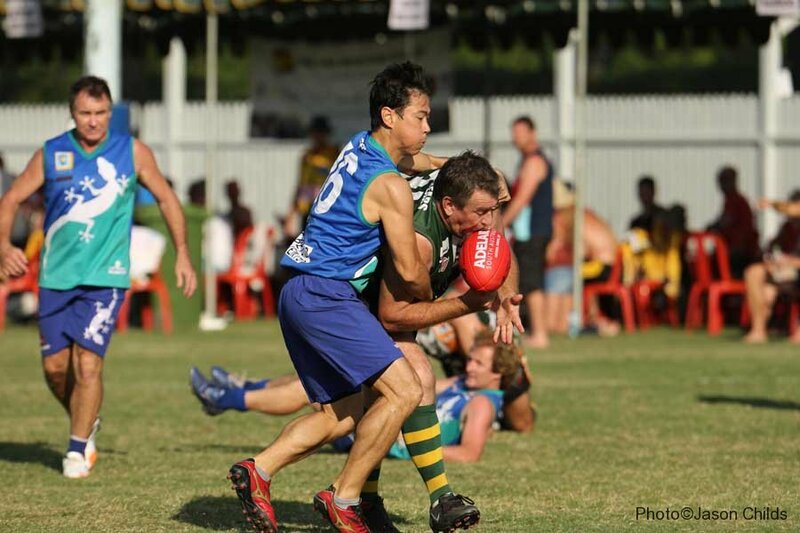 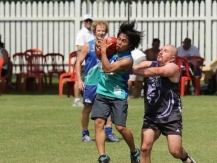 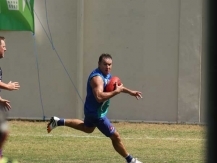 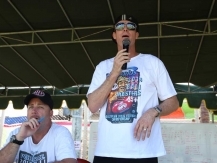 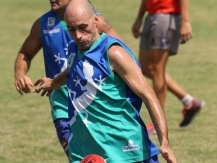 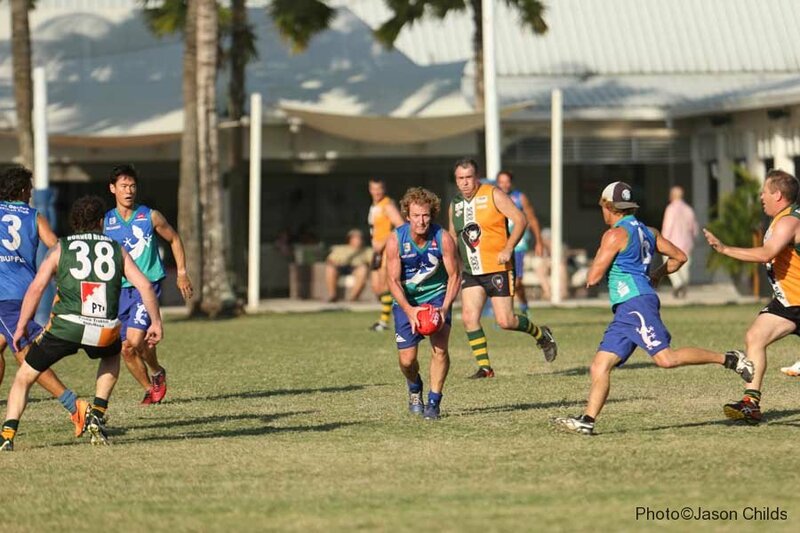 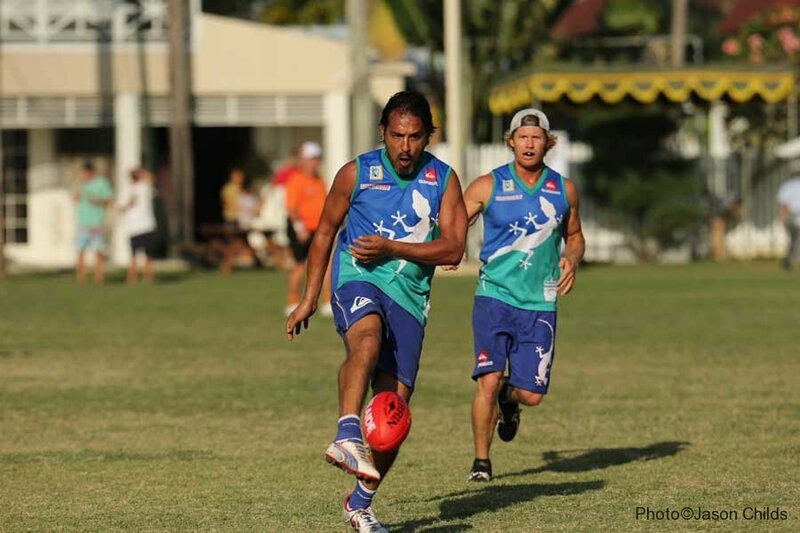 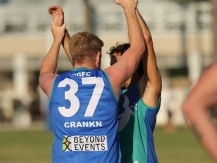 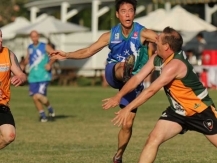 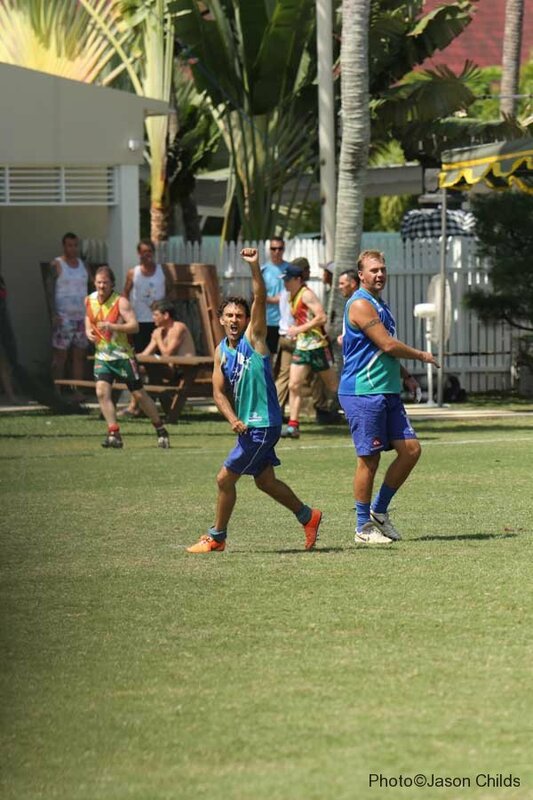 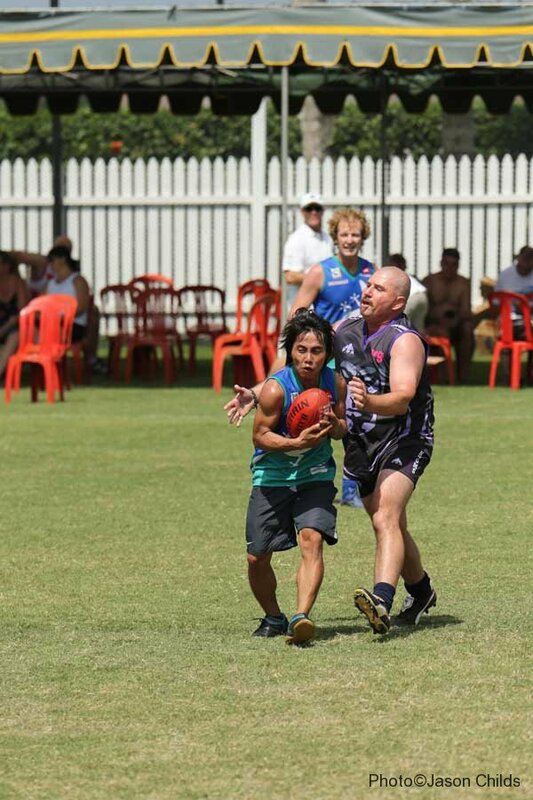 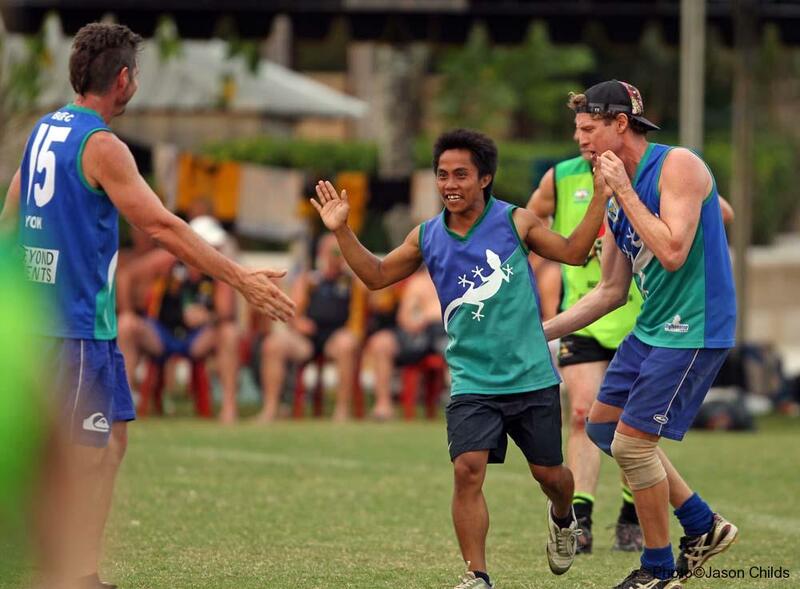 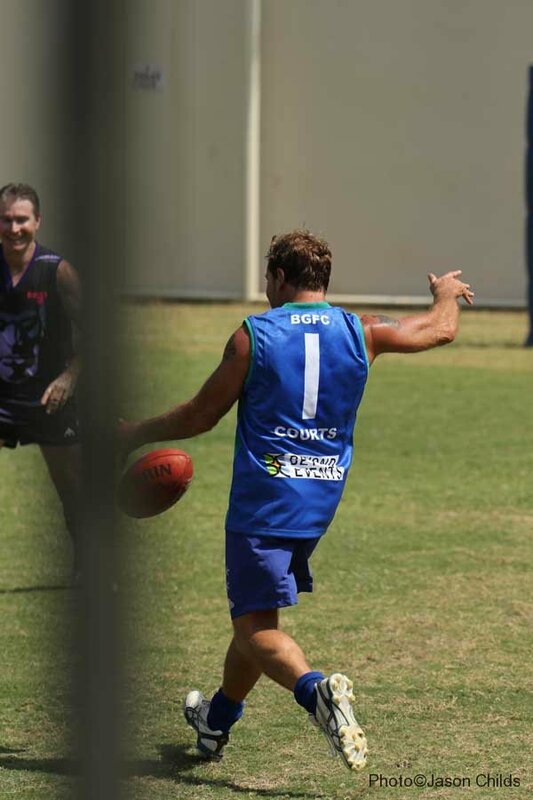 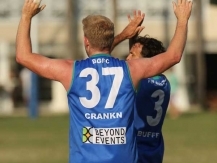 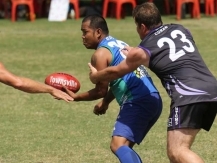 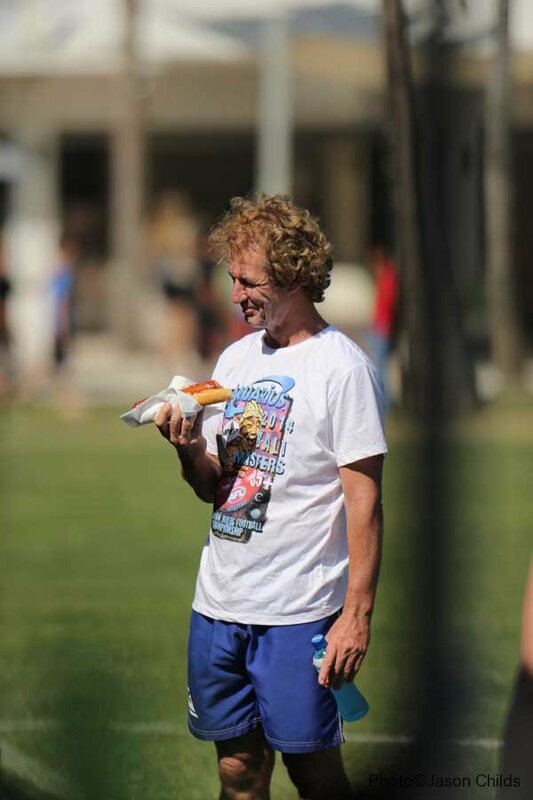 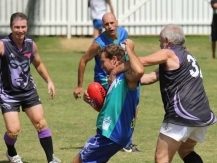 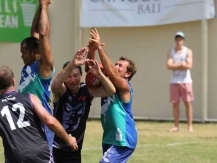 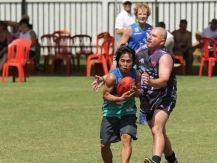 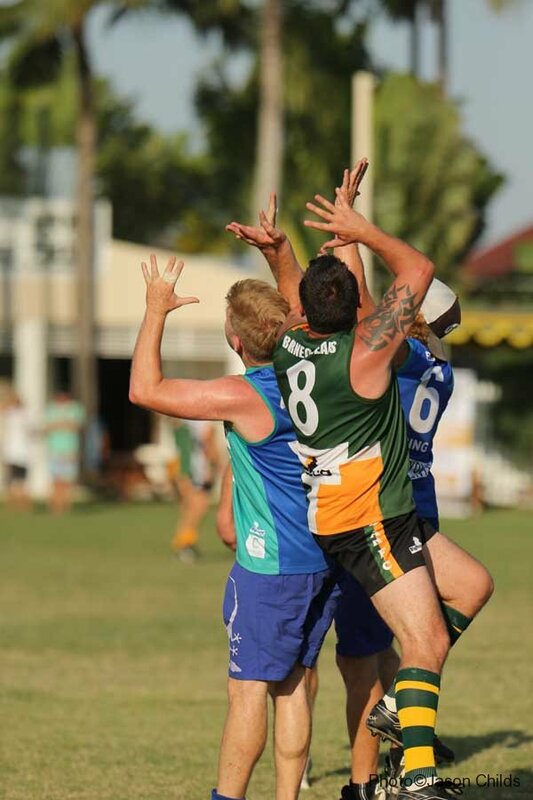 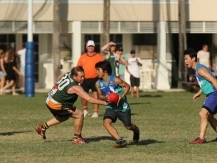 The Geckos went into this year’s Masters tournament with a number of new faces with the likes of Mark Frawley and Tony Smith, pulling on the boots for the first time in over 20 years. 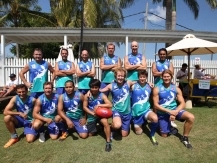 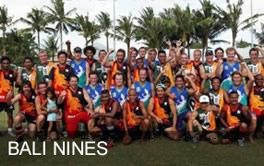 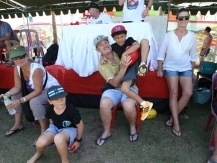 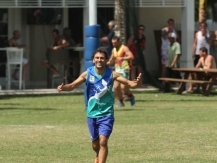 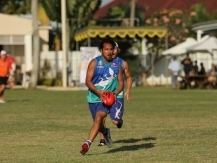 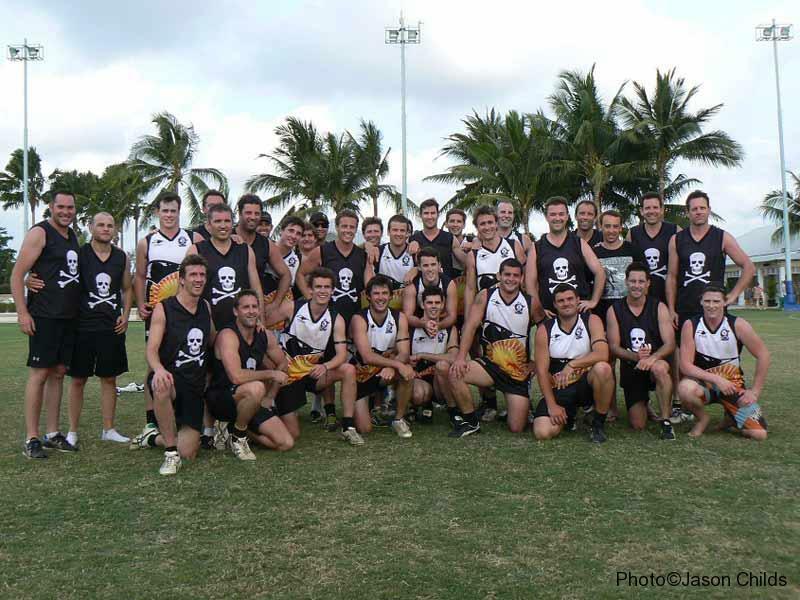 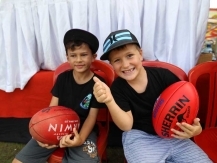 As organiser’s of the event, the Geckos took the final place in the top 10 division even though the talent was more suited to the bottom thirteen of the draw. 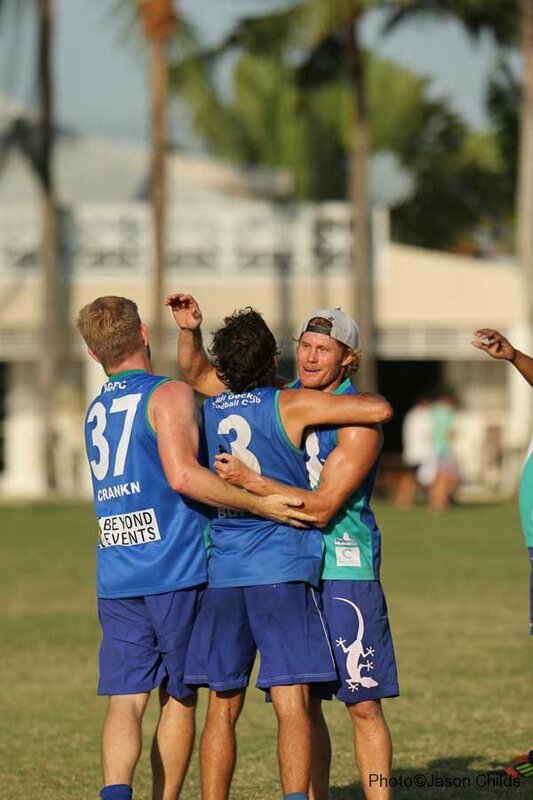 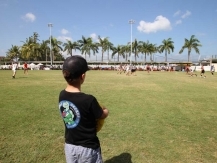 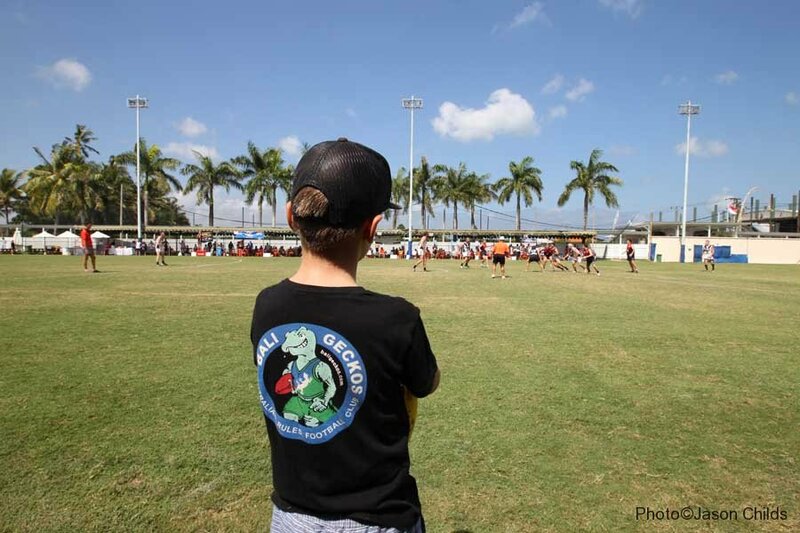 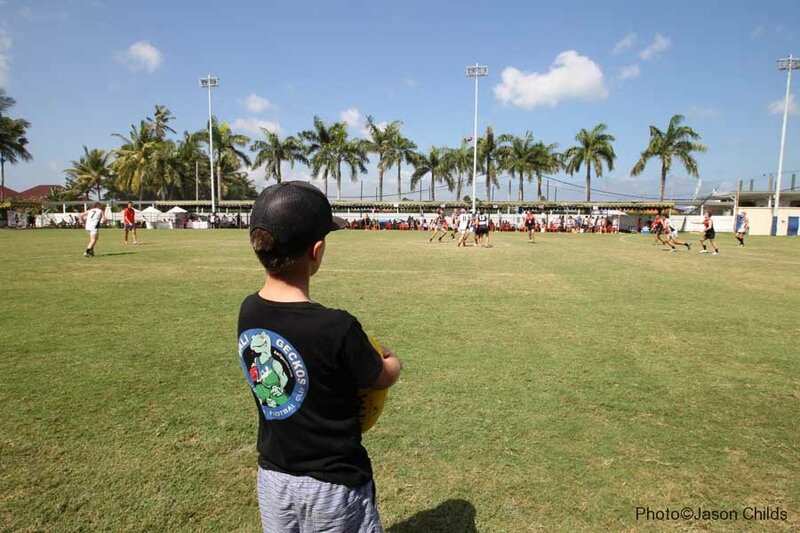 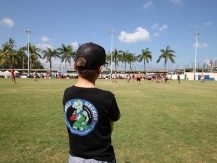 Day One saw the Geckos draw two of the top teams in their qualifying games and the difference in class between the Geckos and their opponents was obvious. 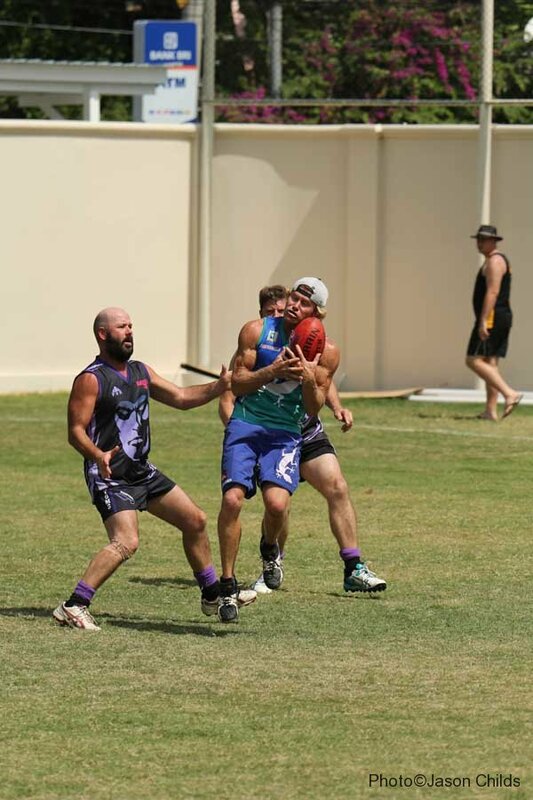 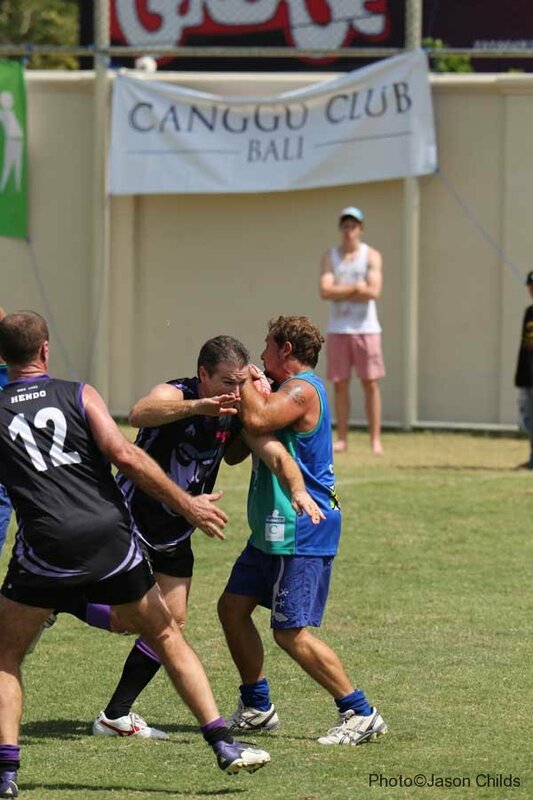 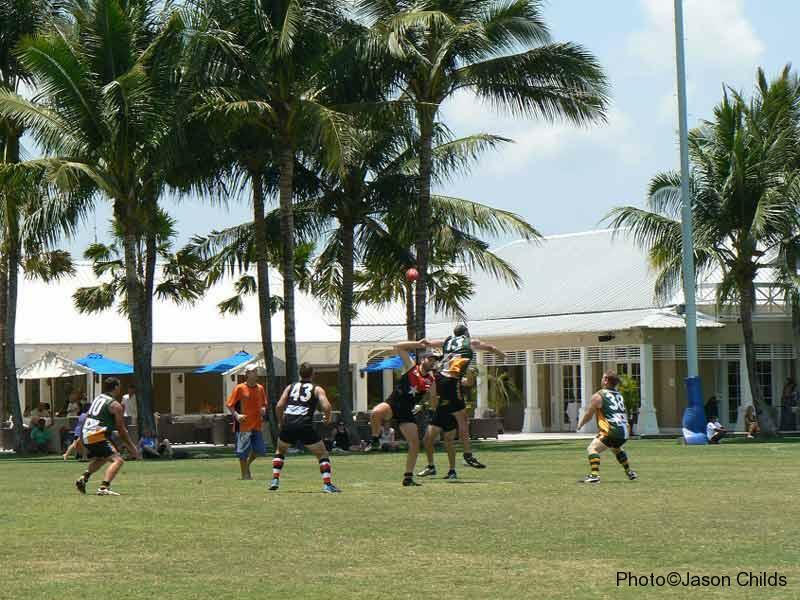 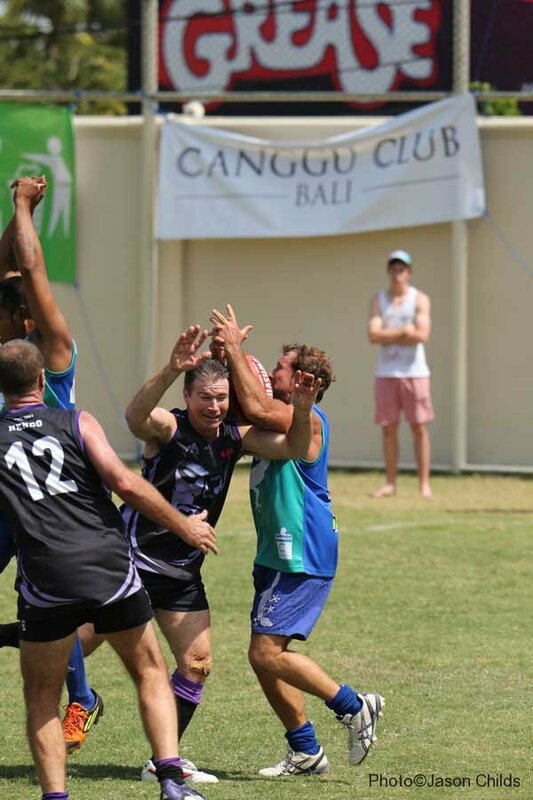 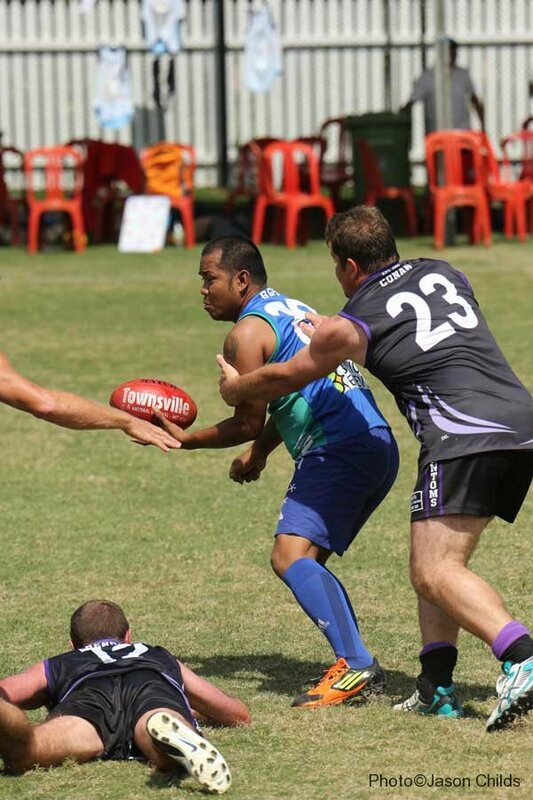 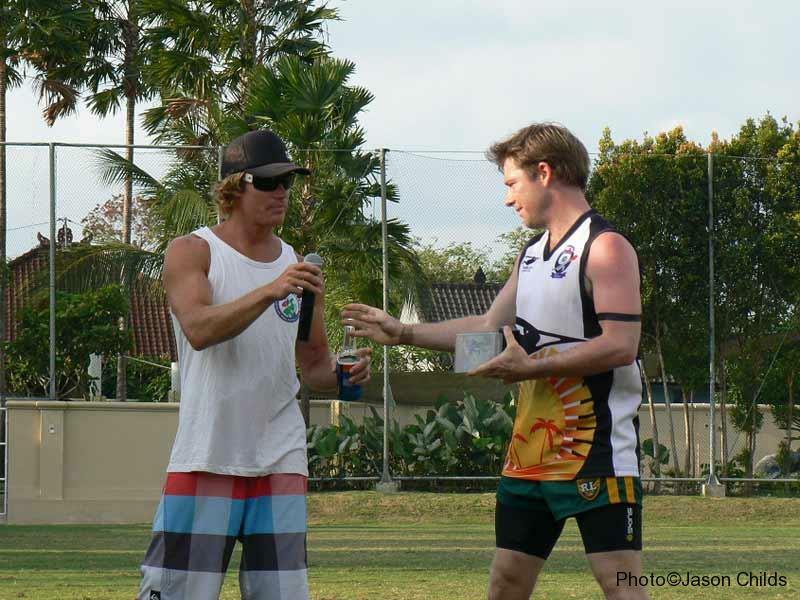 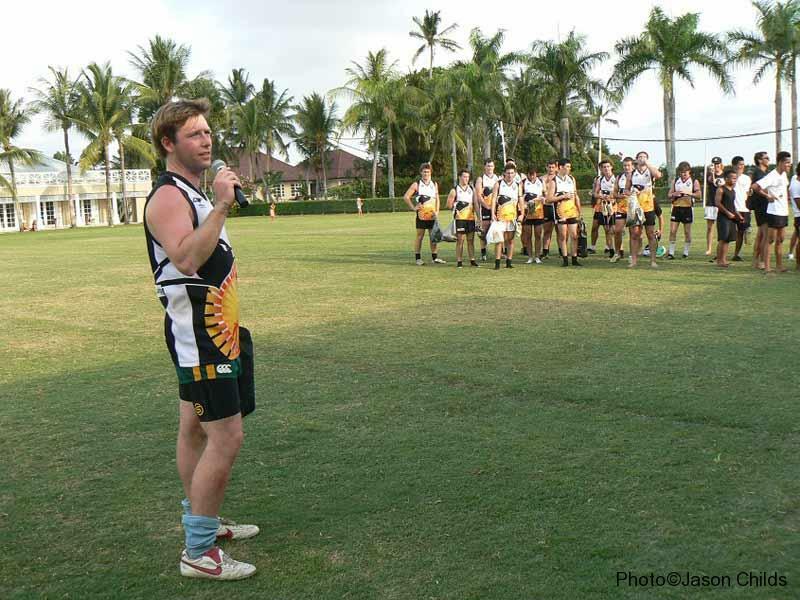 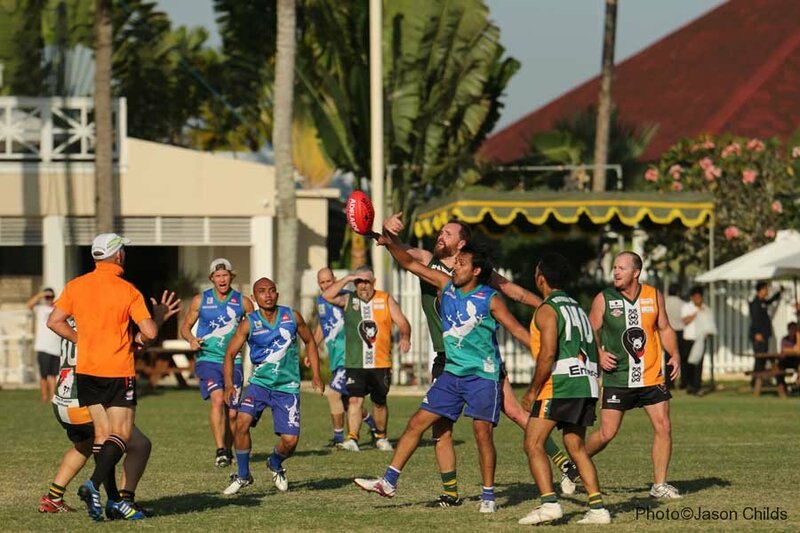 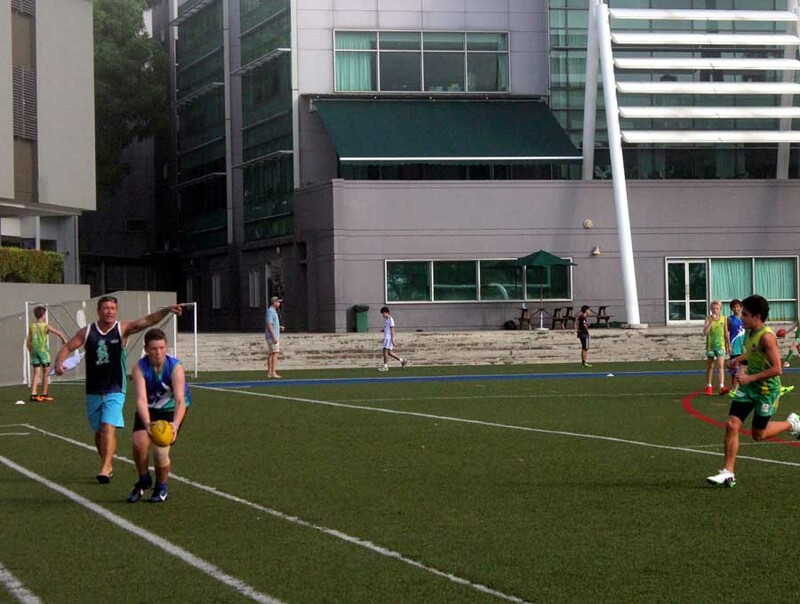 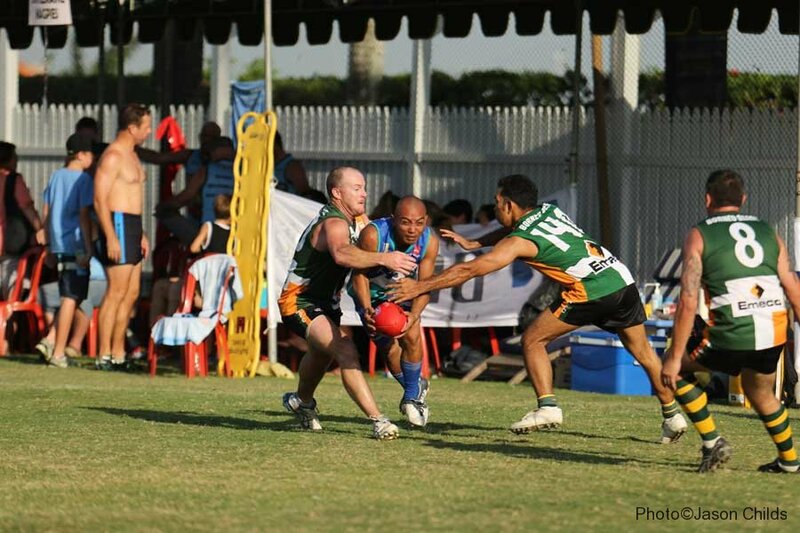 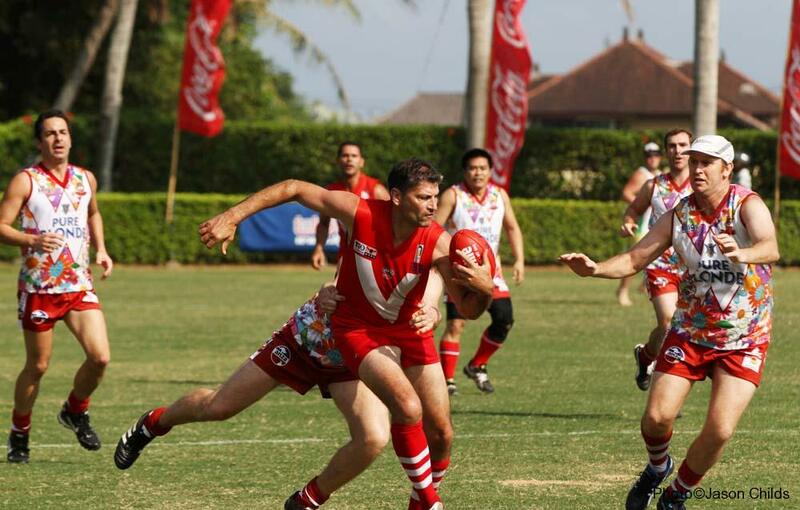 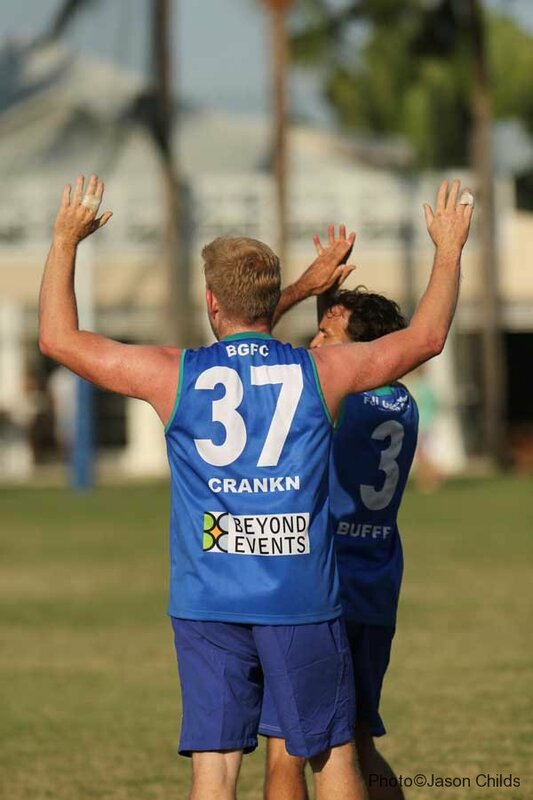 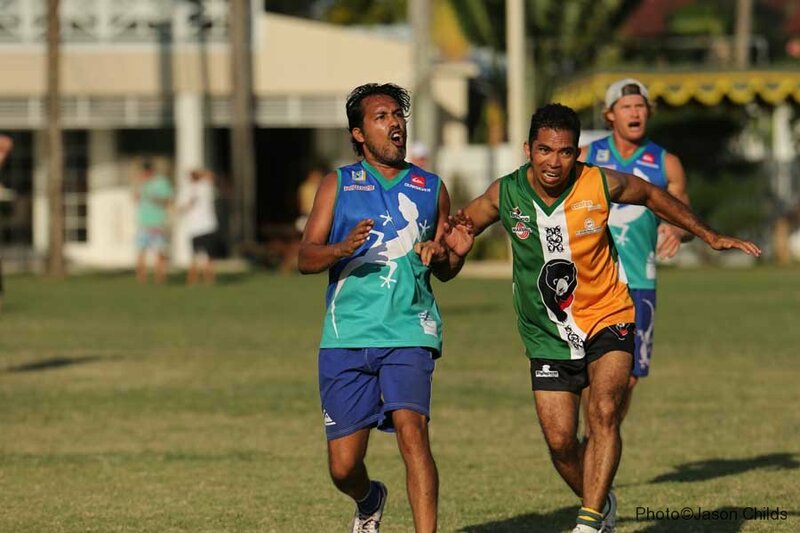 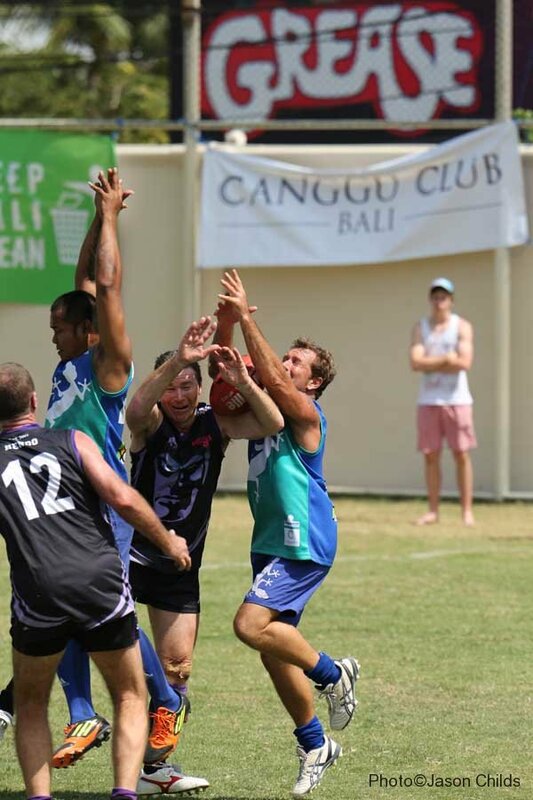 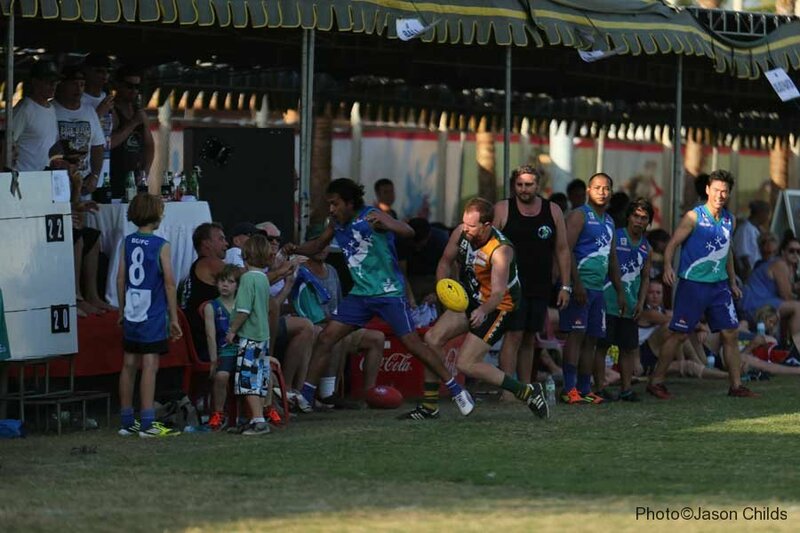 In the first game, the Geckos matched the Dubai Dingoes well in the first half, with Tony Smith dominating the ruck division and giving quality ball to Marky and Hinchy. 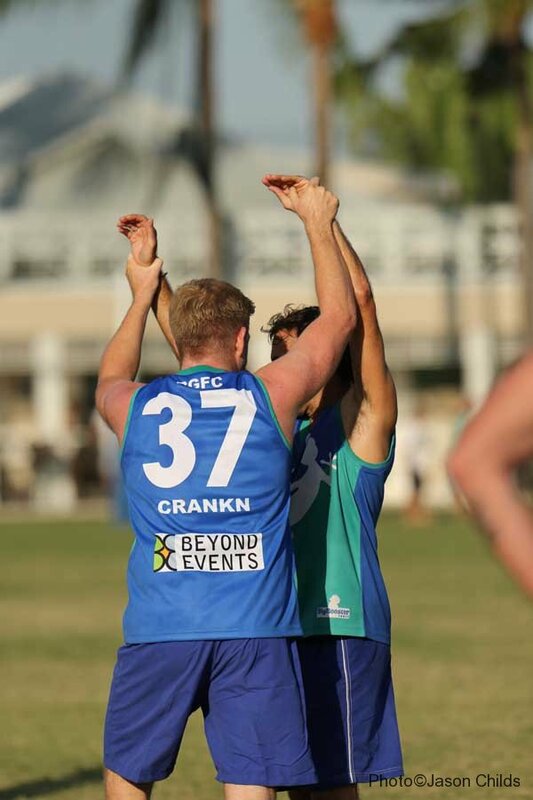 They combined well, snagged a couple of goals and with big Danny up forward providing a solid target, went to half time level. 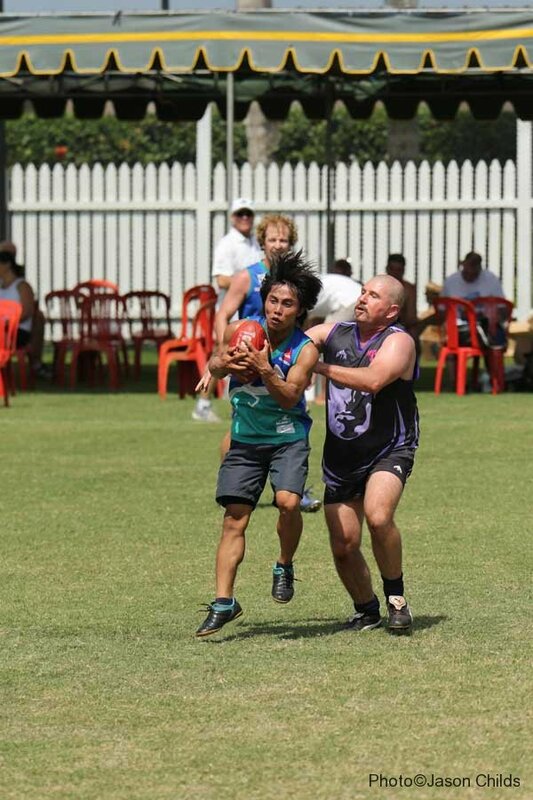 Buffet Dave had roved the forward line packs well to bag goals also. 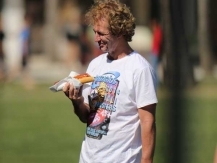 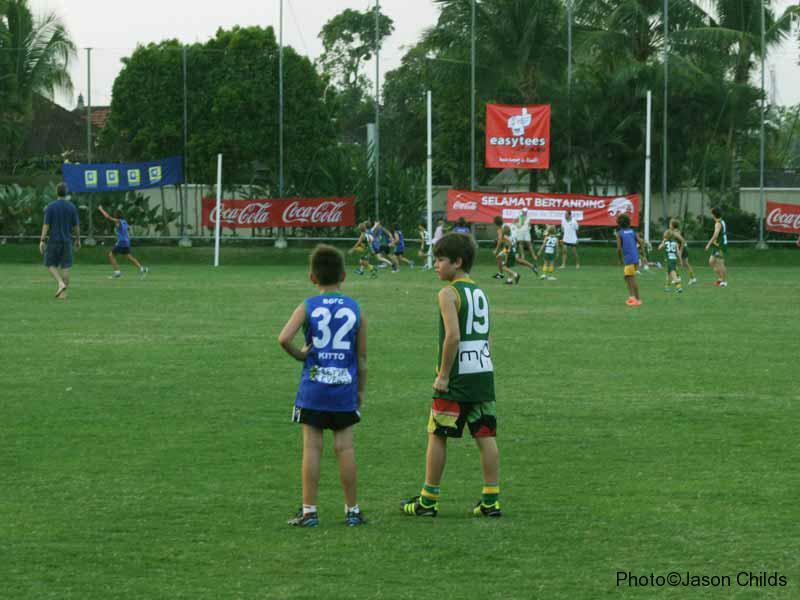 The second half, saw the lack of midfield depth tested and the Dingoes got on top in the middle. 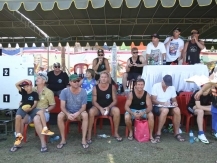 The back line was tested continuously. 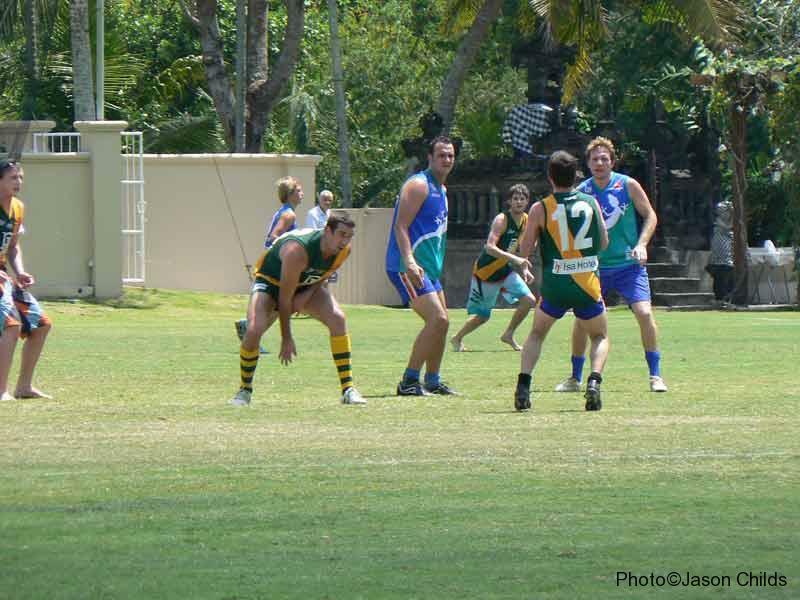 Rod at full back, and James on the flank battled ferociously, but eventually the dam walls broke and the Dingoes piled on the goals to run out comfortable winners. 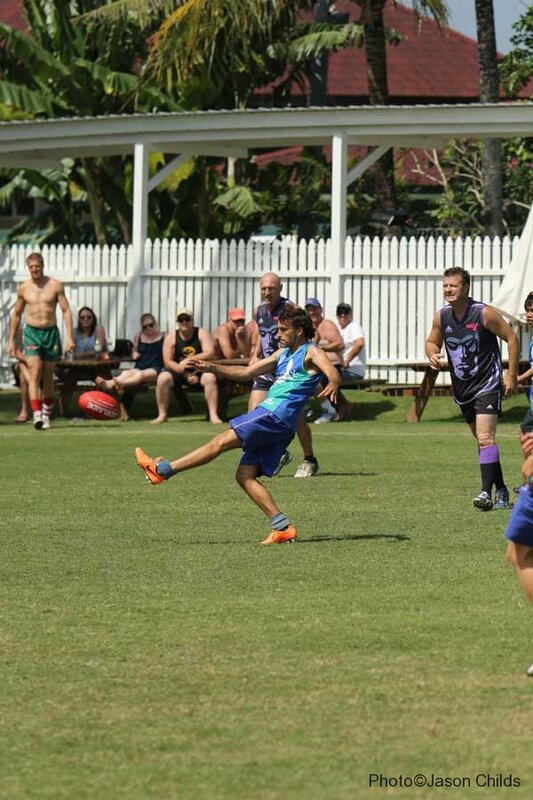 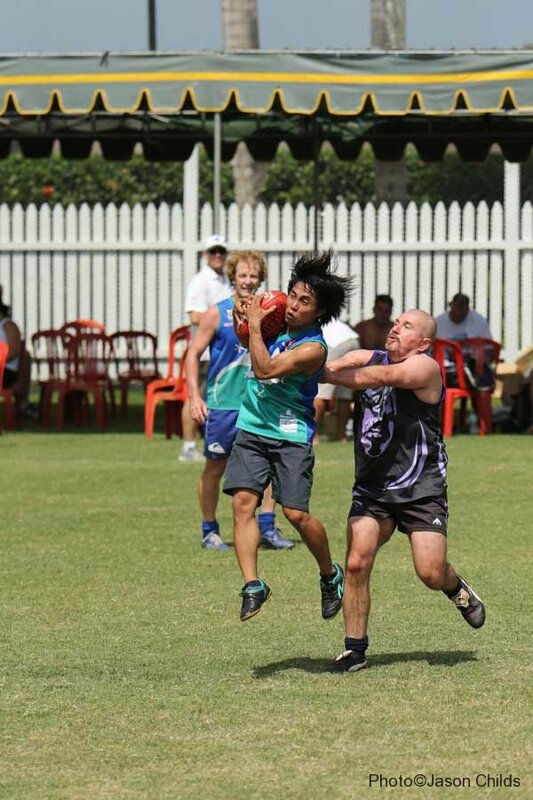 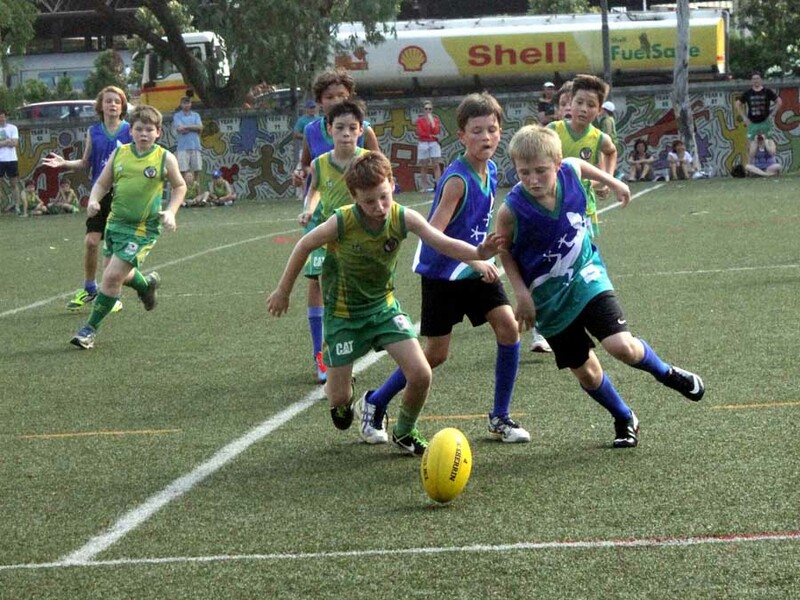 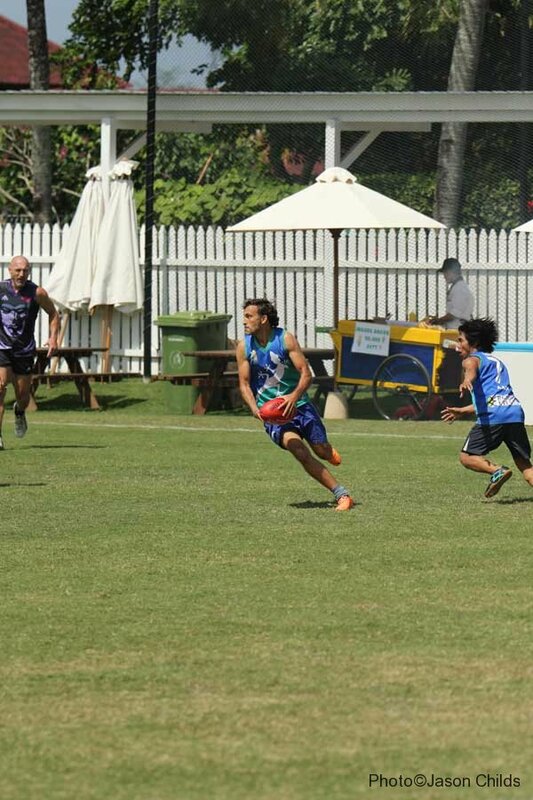 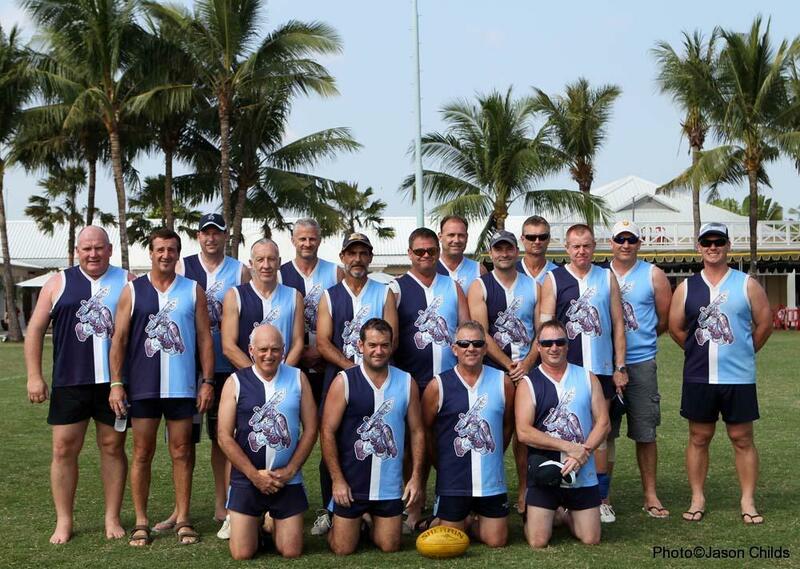 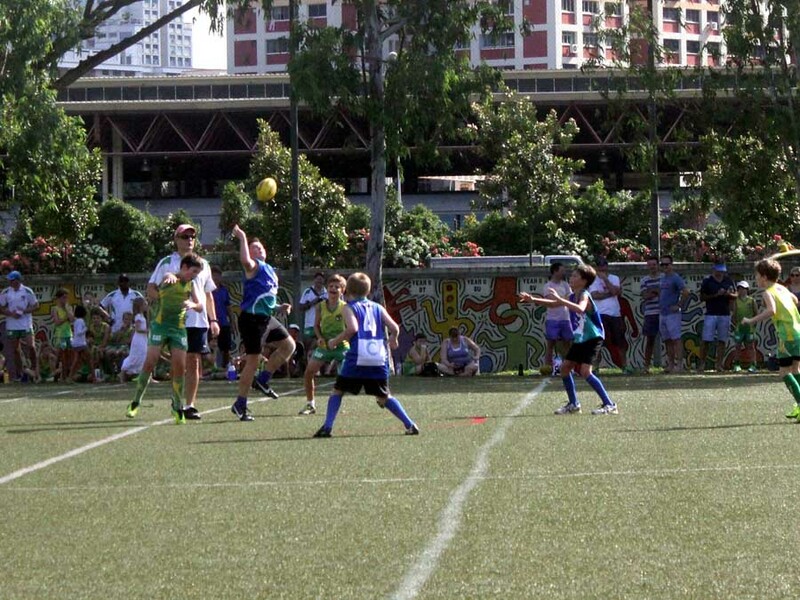 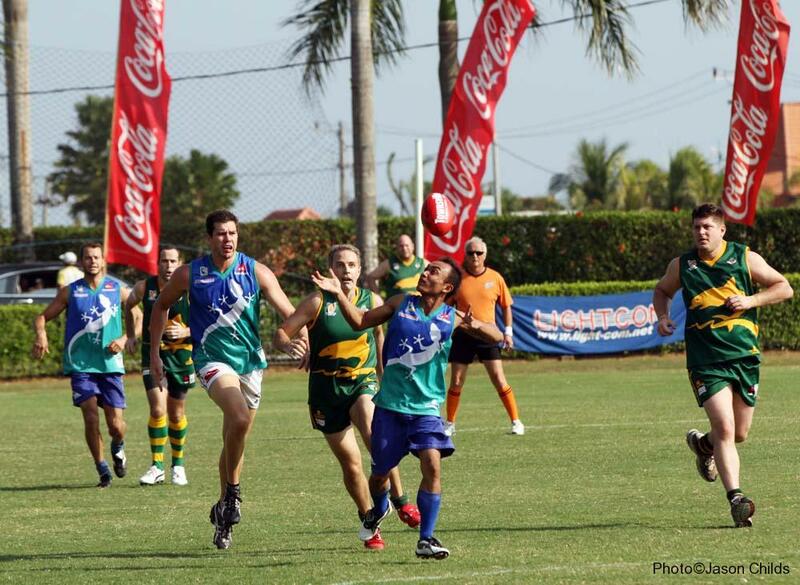 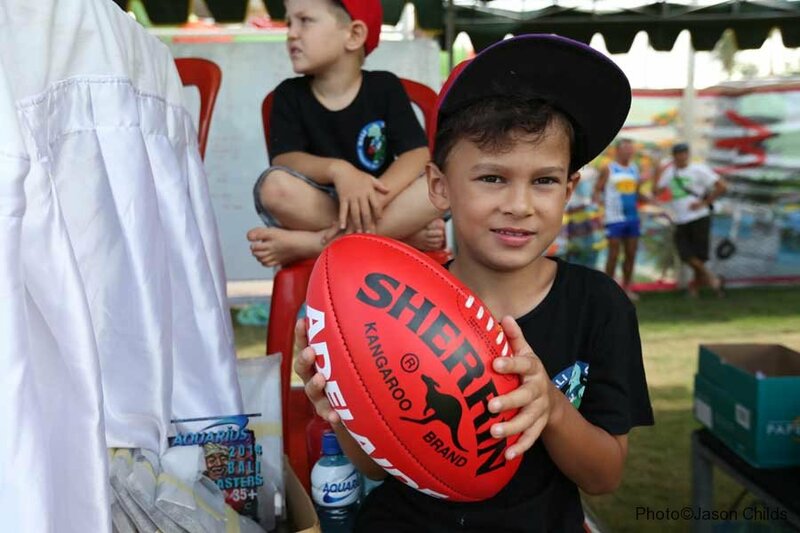 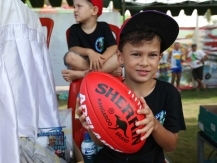 Game 2 was against the power house team from Darwin, the Waratahs. 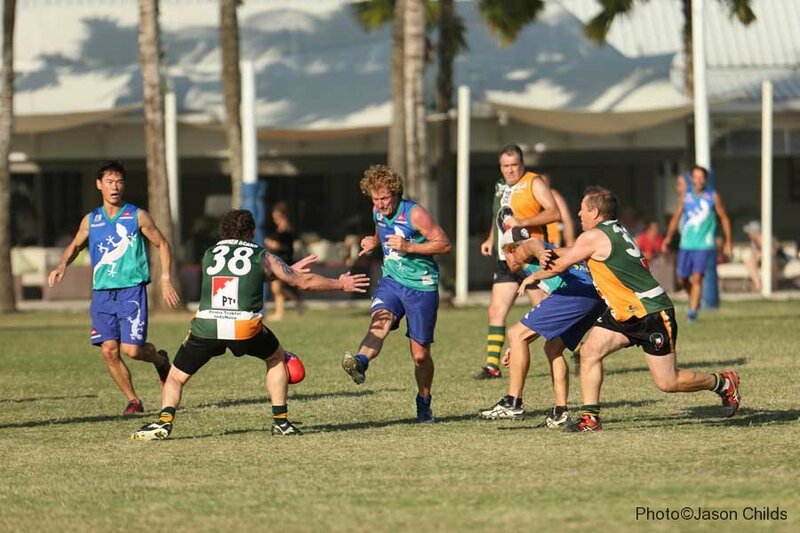 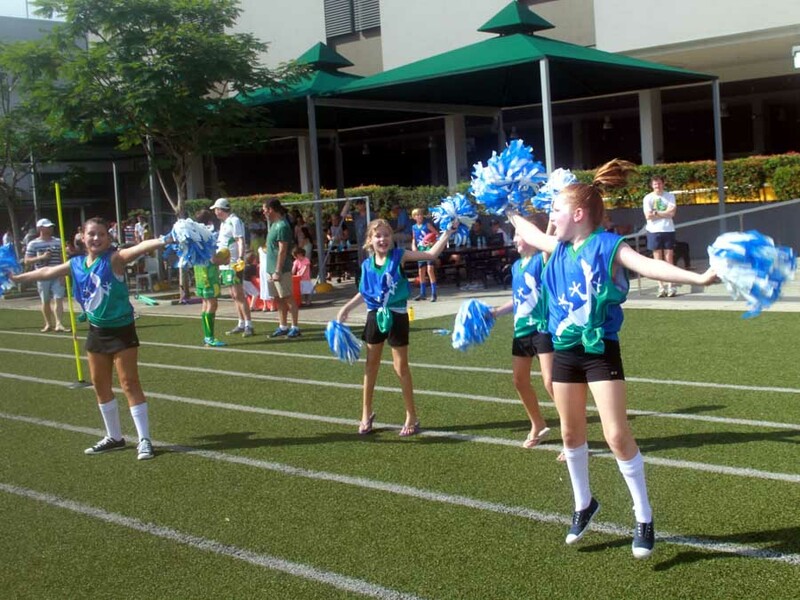 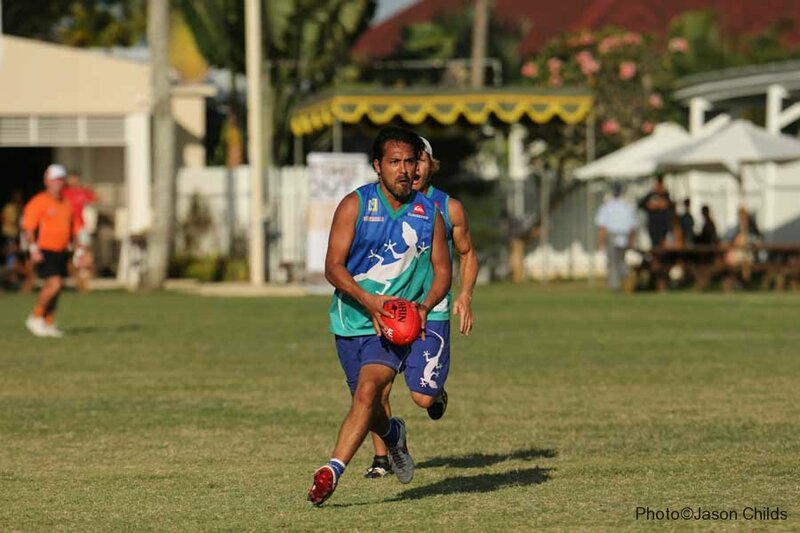 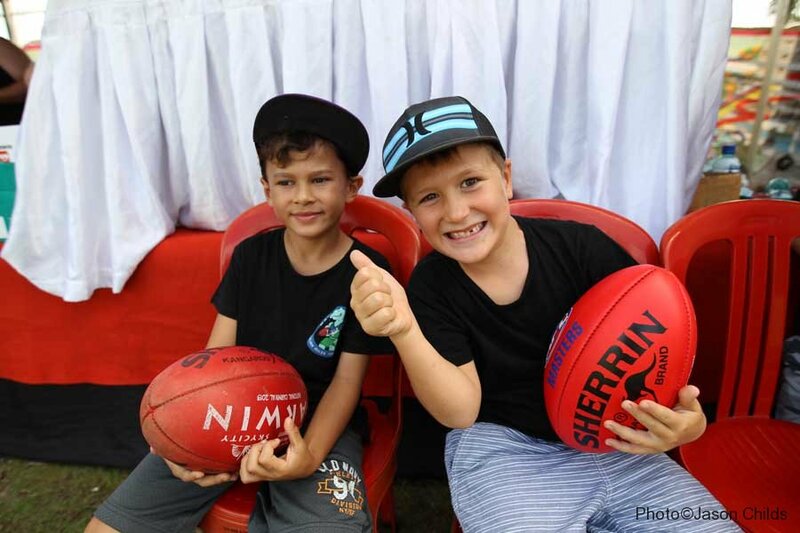 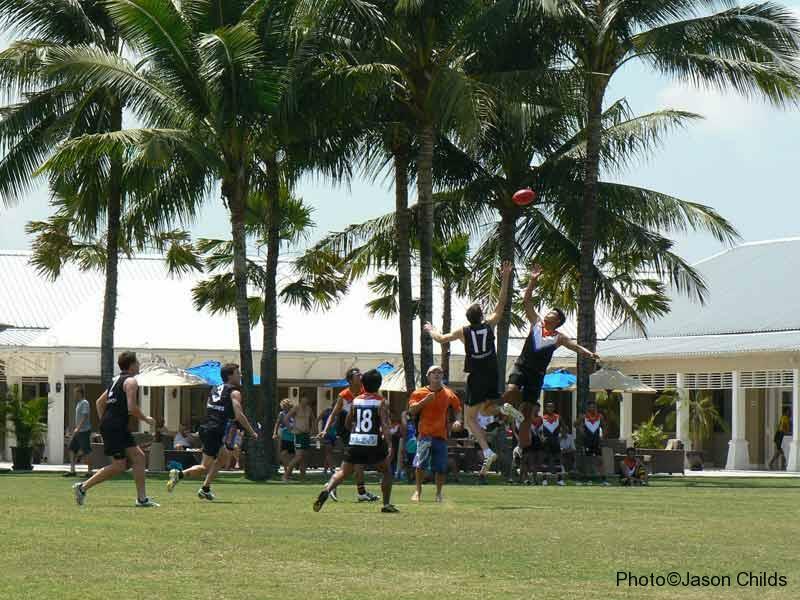 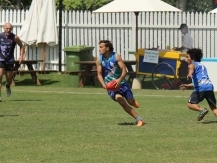 The Geckos lifted their intensity and were hard at the highly talented Tahs. 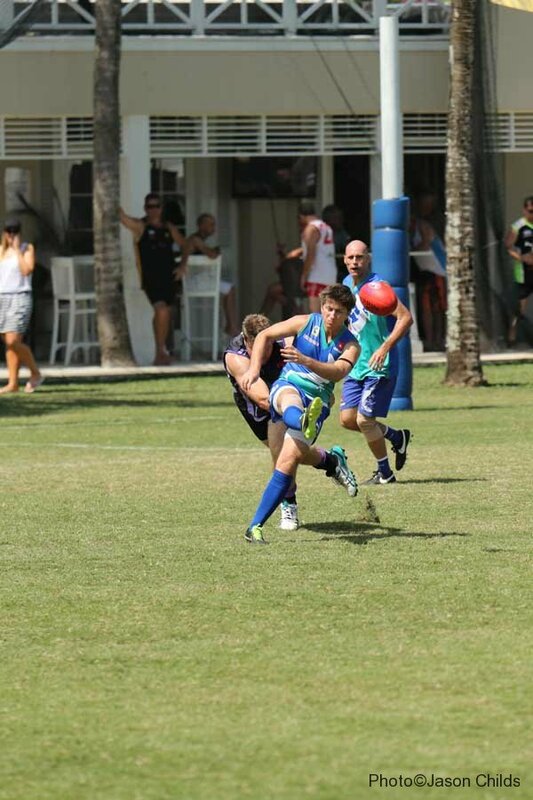 Ed contributed well in the midfield and with good back up from new Geckos, Keety and Jono, the Waratahs were not having it all their own way. 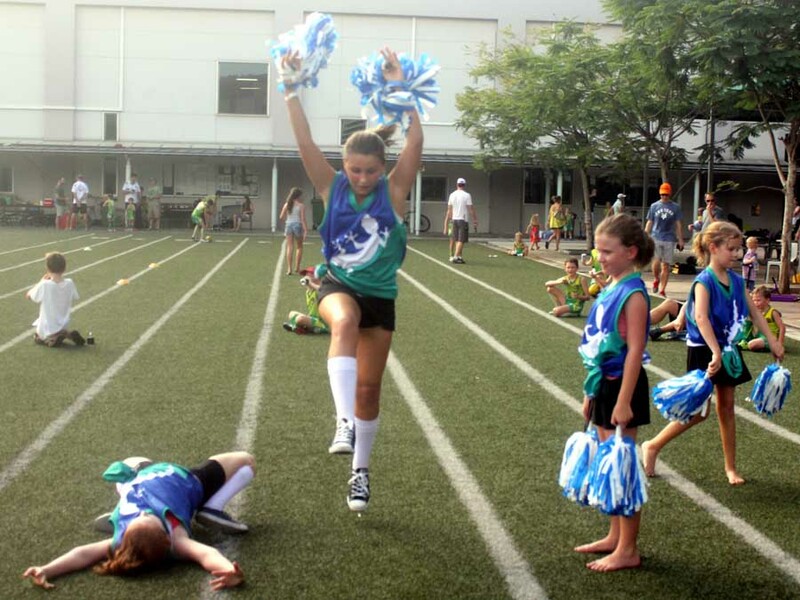 Eventually though, the cream rose to the top and the Tahs kept the scoreboard ticking. 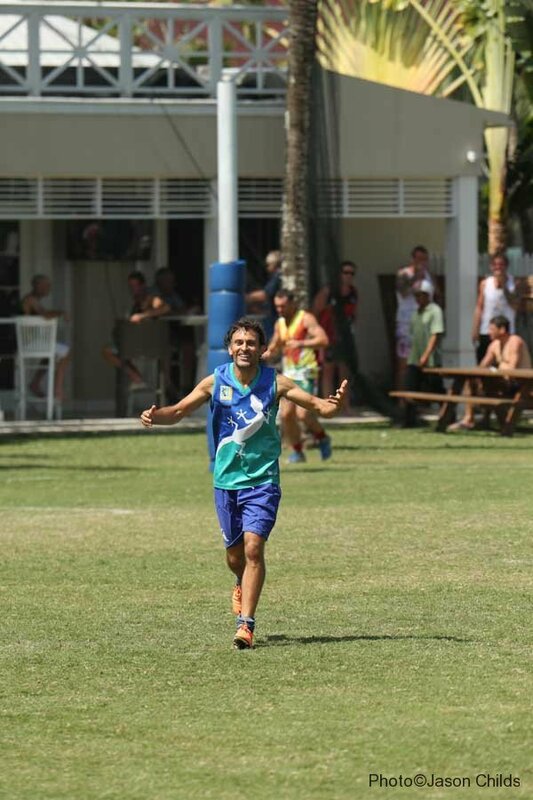 Aan for the Geckos showed fiersome courage against bodies twice his size and provided some highlights with his extreme speed. 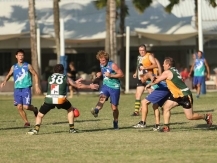 Day Two, the Geckos had been relegated to the Plate division and hopes were high for an improved performance. 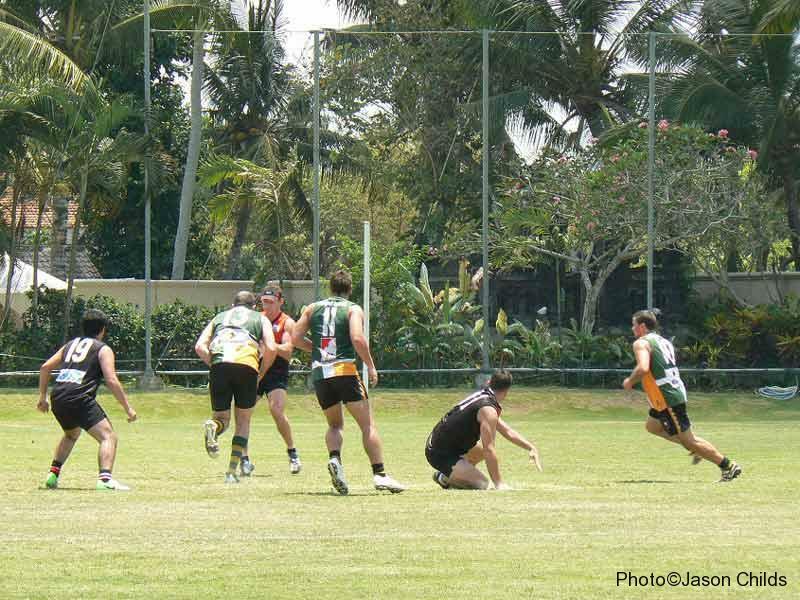 The squad had been reduced as a result of some injuries on Day One and Ed and Jono couldn’t make it to the field. The Geckos were still confident of a good showing though and they didn’t disappoint. 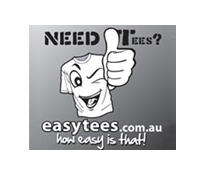 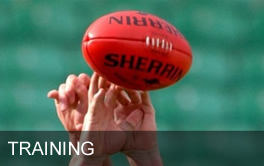 The Adelaide Phantoms were an even match and the game was goal for goal for the most of it. 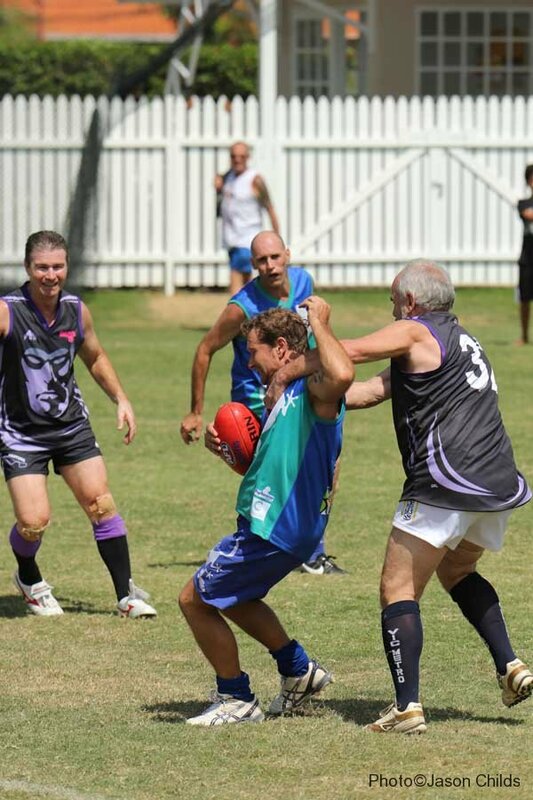 Big Tony Smith went down early in the game with an abductor injury and left the field not to be seen again for the day. 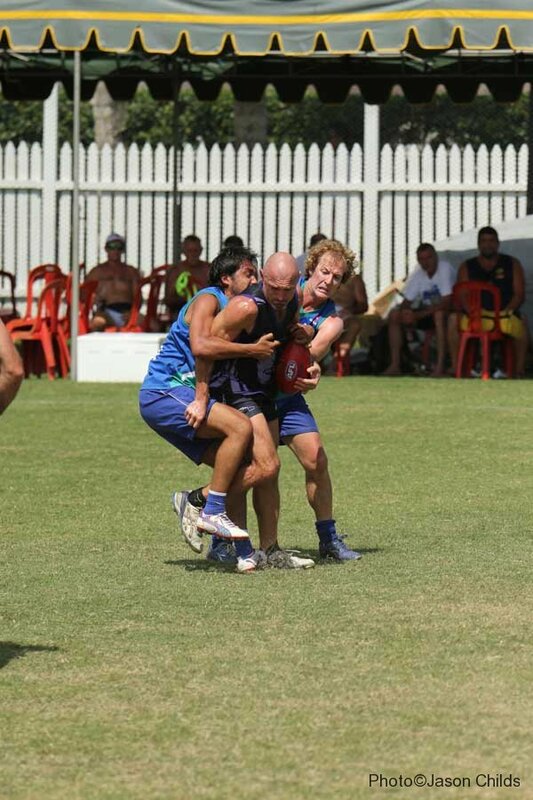 Rod stepped up admirably in the ruck giving much height away but battled manfully. 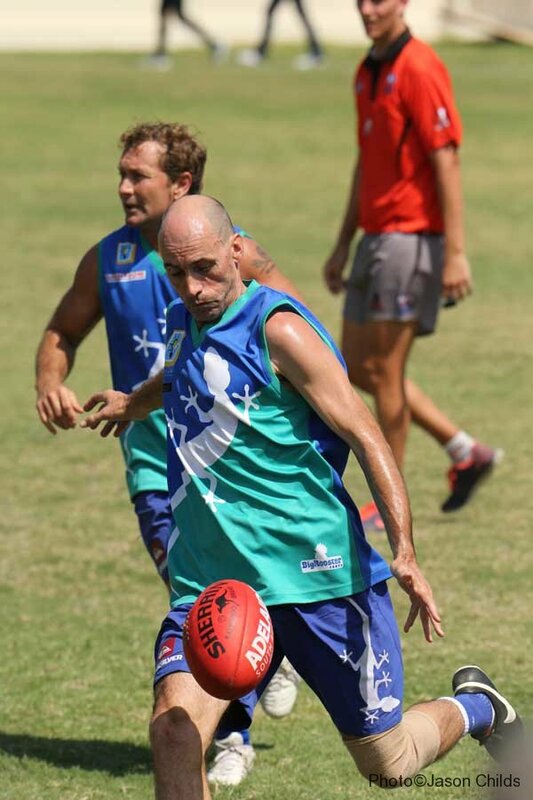 Mark Frawley was finding his touch again and used his smooth skills to hit up targets. 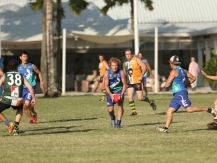 With great run added by Pritch the Geckos had some fantastic passages of play. 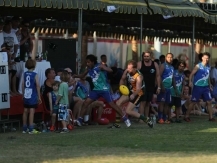 Unfortunately, when the final siren sounded, the Phantoms were in front and they progressed to the final of the Plate. 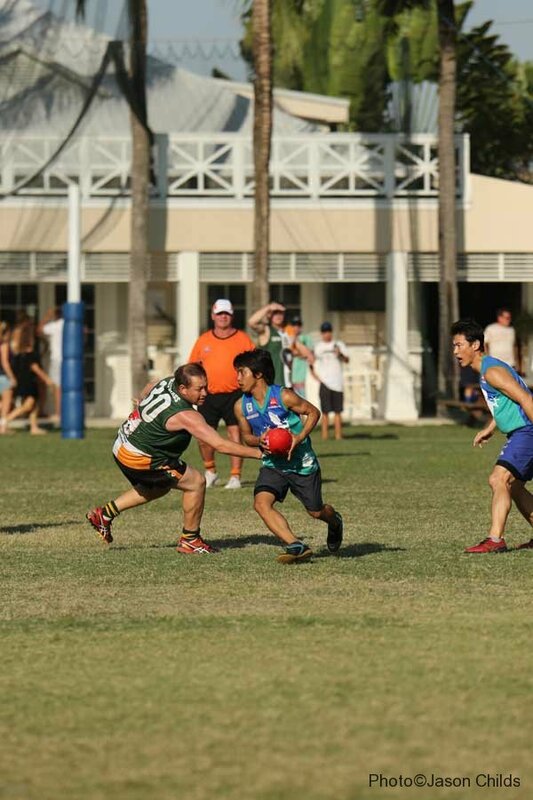 The Consolation Plate game was held between the Geckos and the Bears. 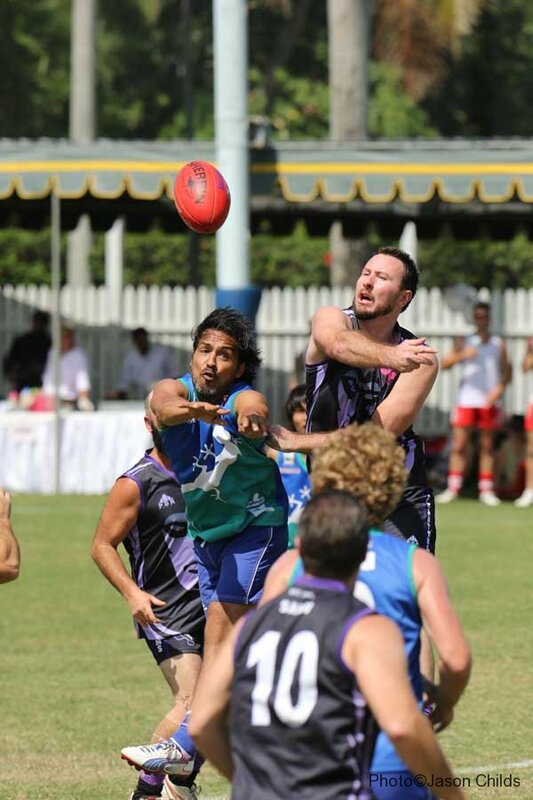 With both teams almost dead on their feet from the 2 days of footy, they both lifted for one more tilt at glory. 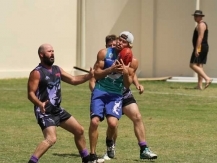 A very highly fought contest was had and the Bears worried the Geckos with bigger bodies in the middle and some fine run on the outside. 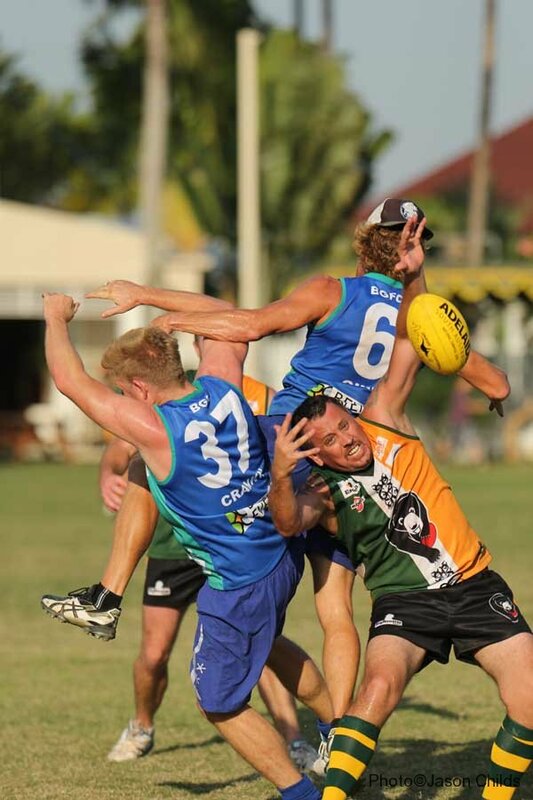 The Bears had their nose in front for most of the game but the Geckos never lay down and continued to answer with goals. 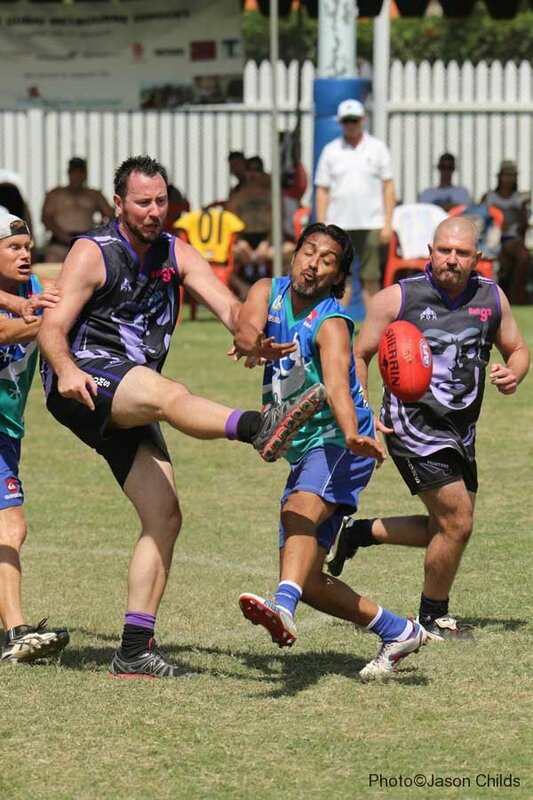 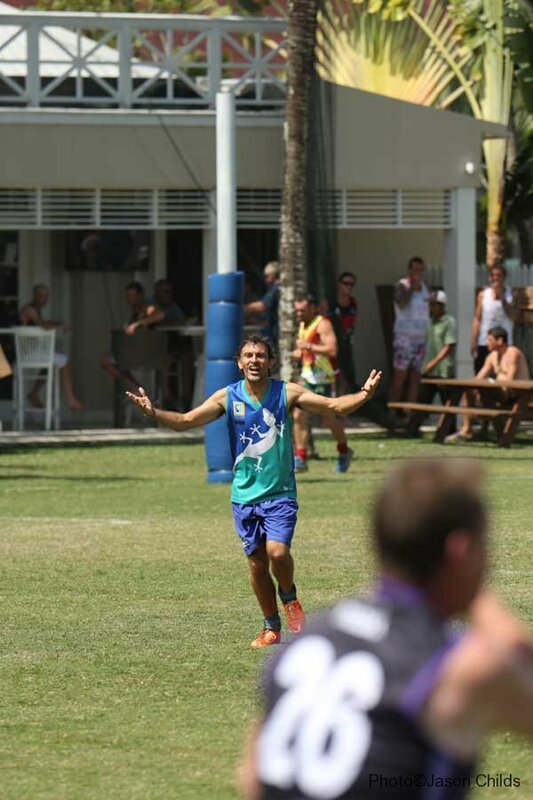 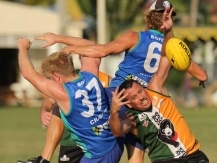 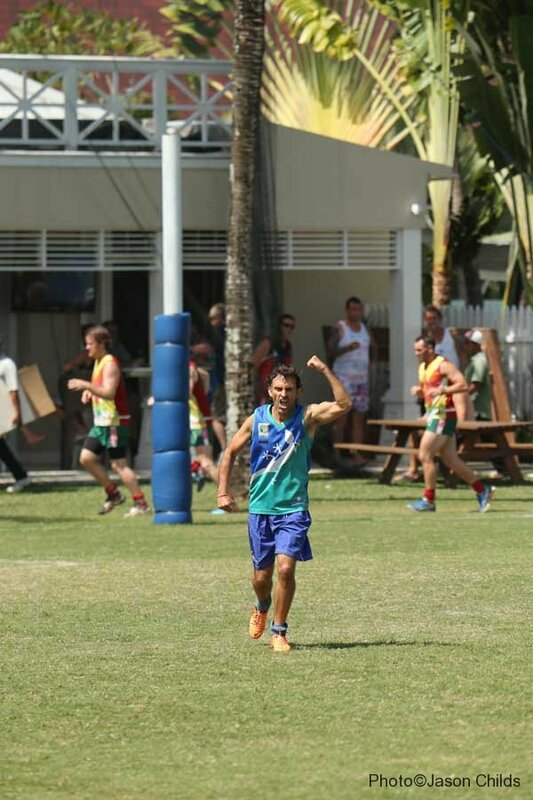 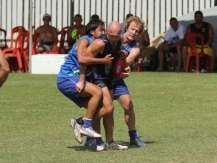 With only seconds left on the clock the Geckos were a point down until Buffet Dave swooped on a loose ball, snapped truly with his left boot and put the Geckos in front as the final siren sounded. 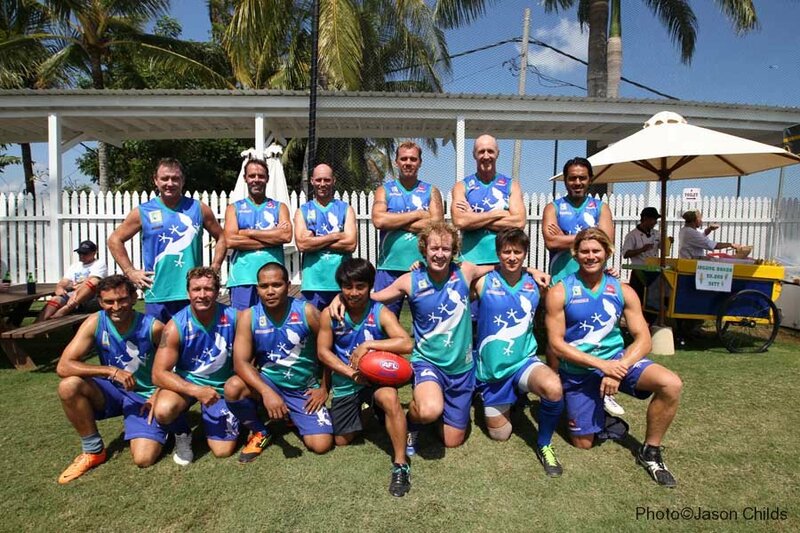 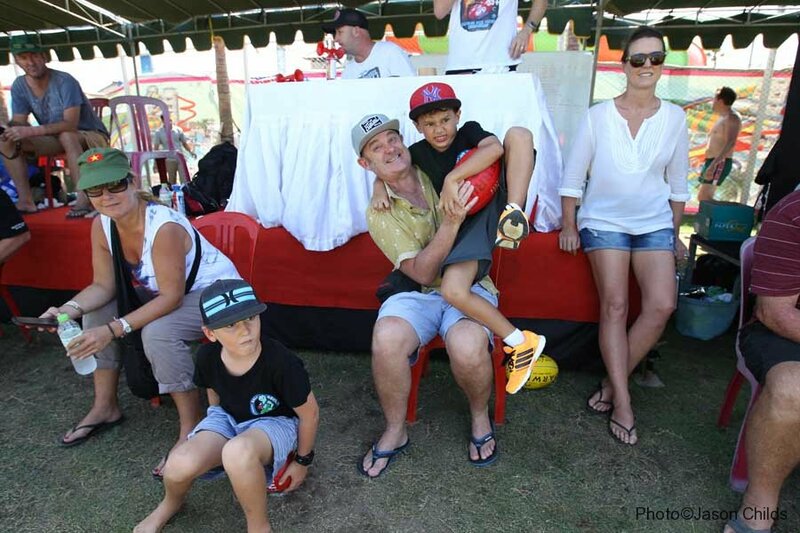 A great effort all round for the Geckos and a big thanks to all that contributed on and off the field. 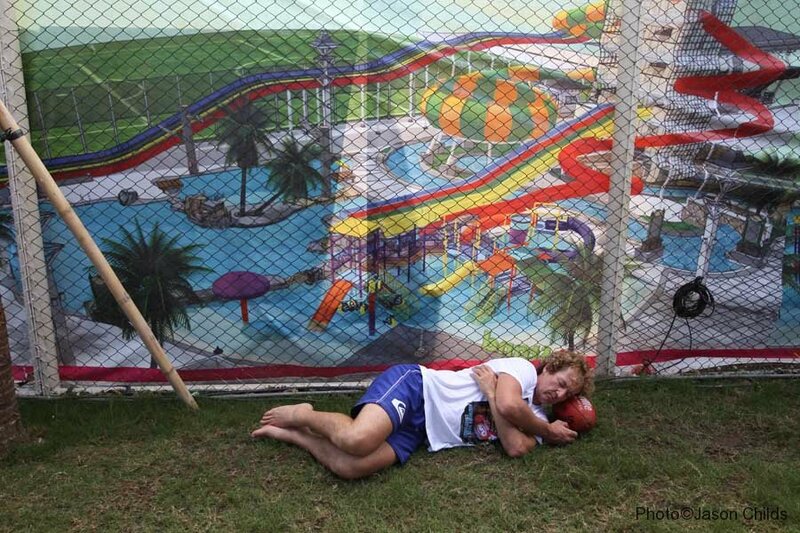 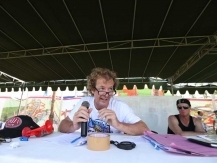 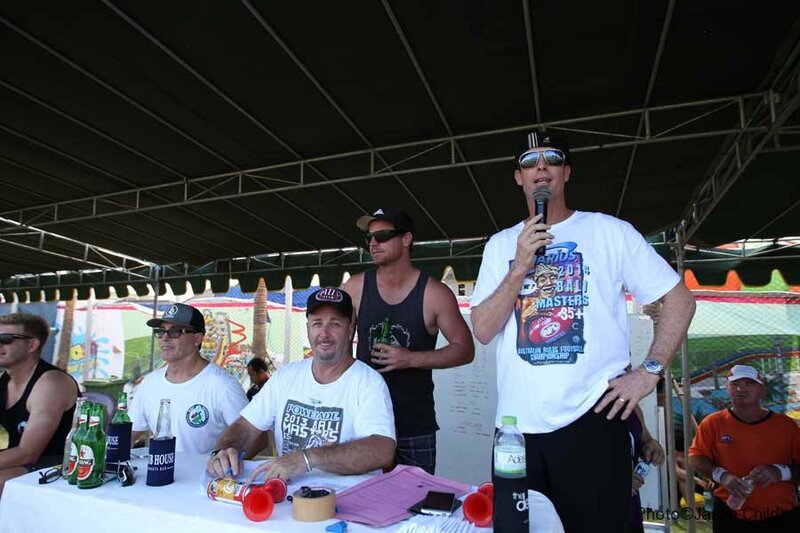 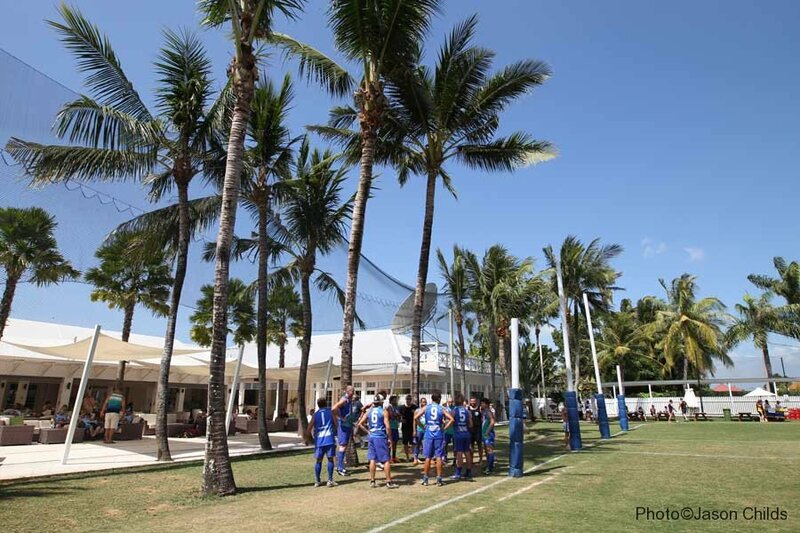 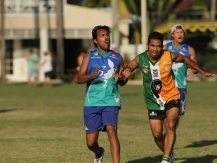 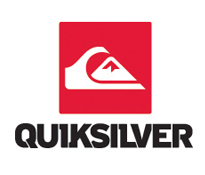 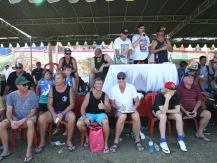 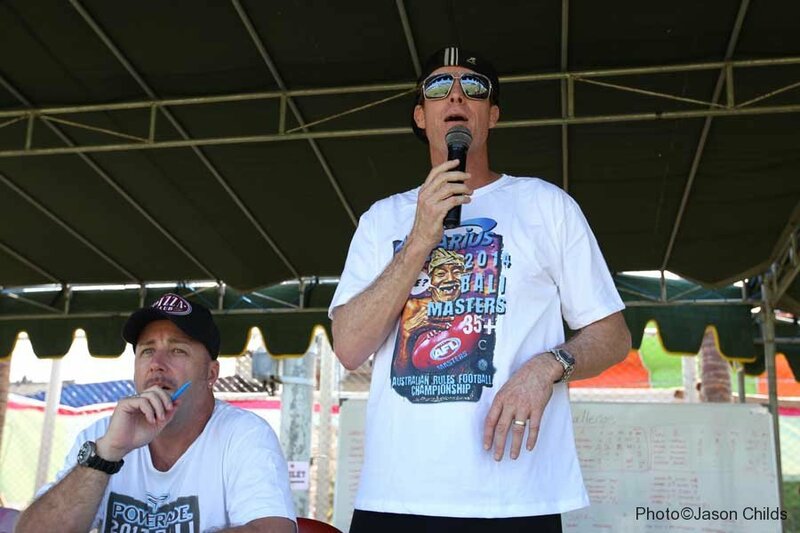 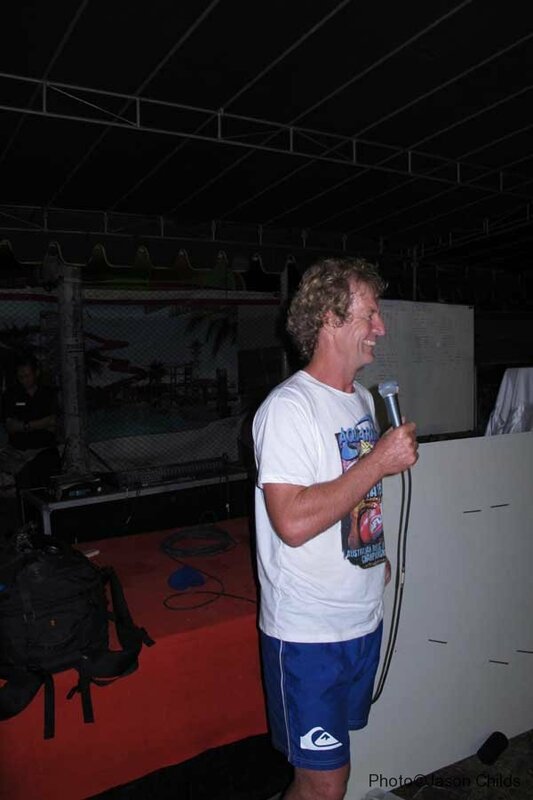 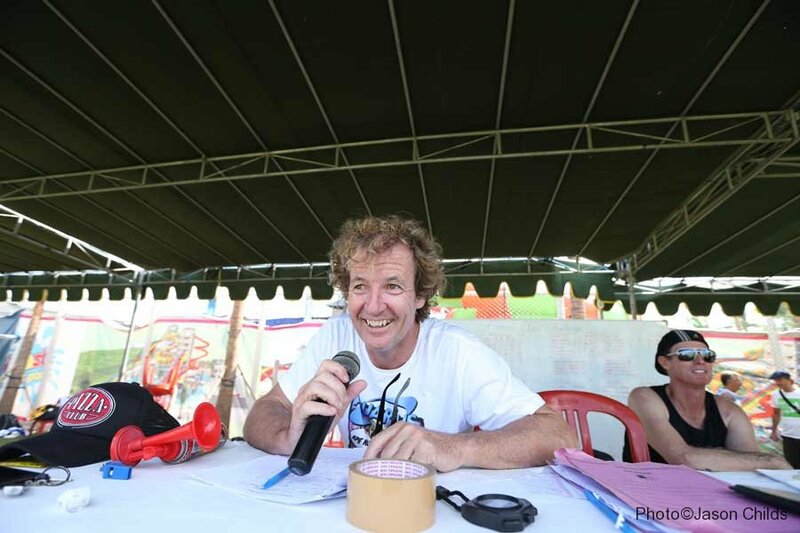 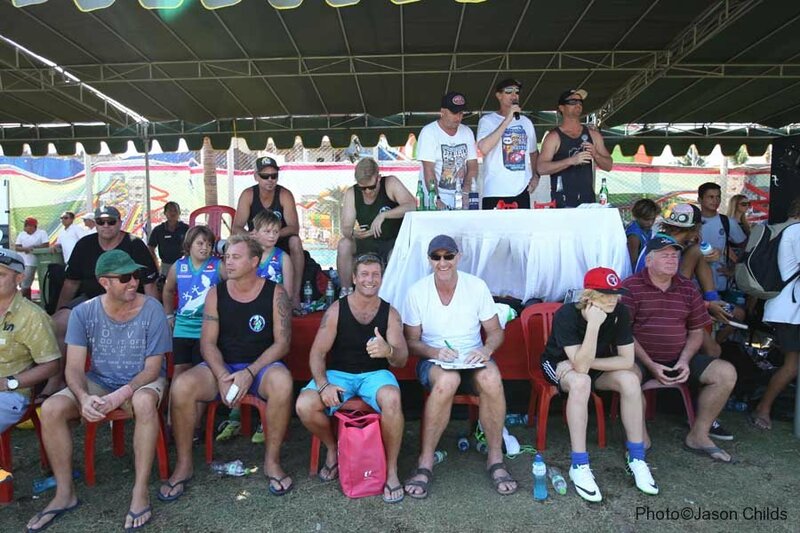 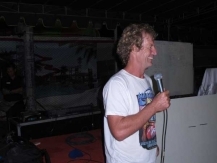 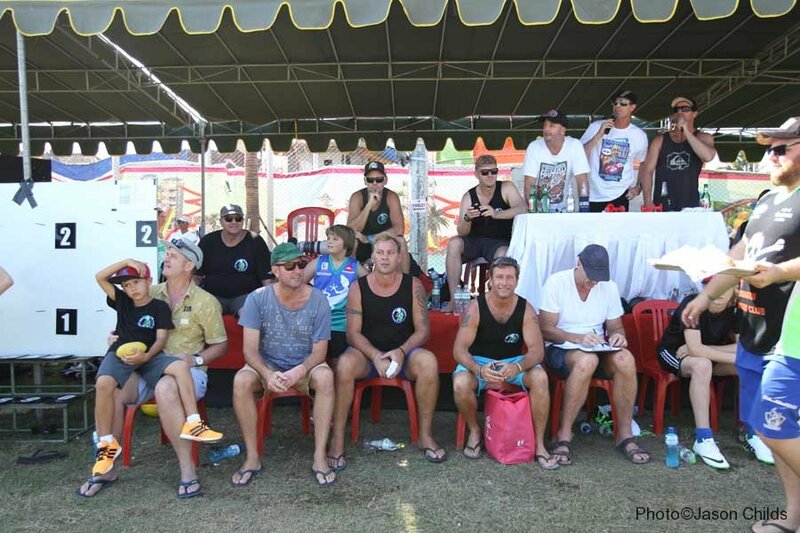 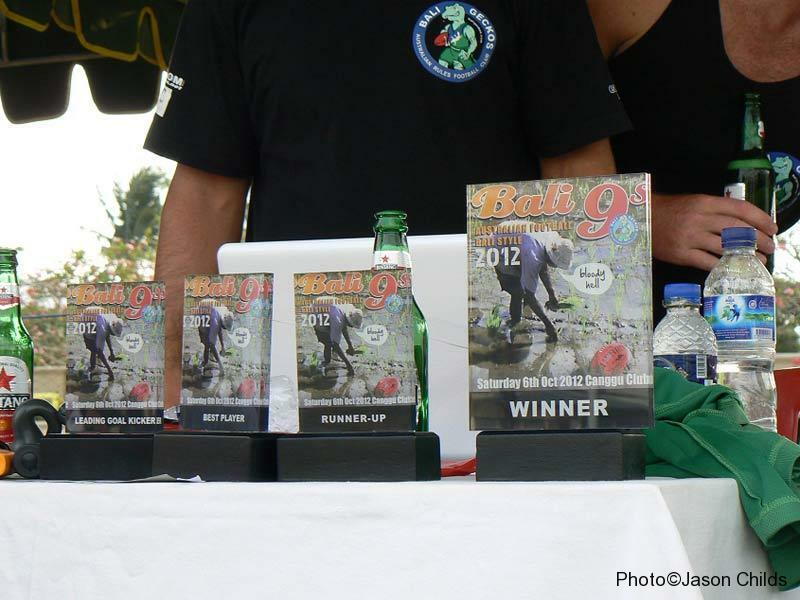 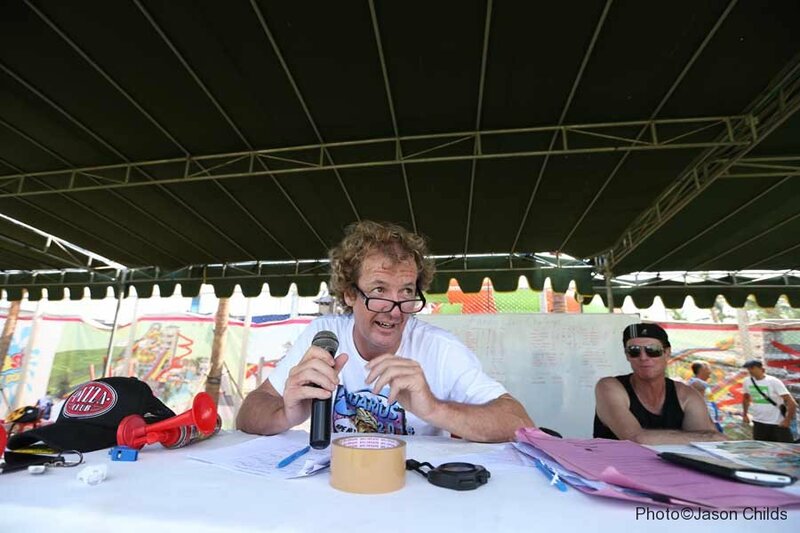 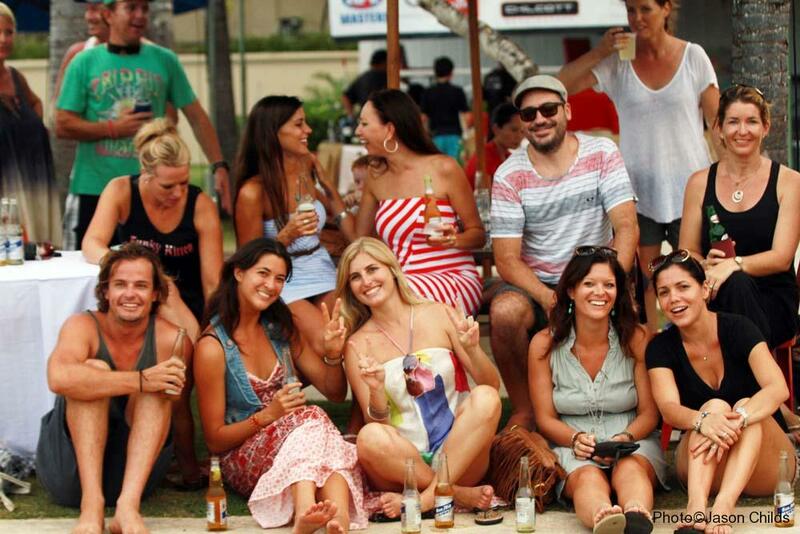 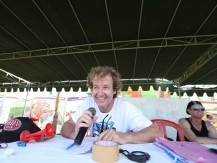 The 2014 Aquarius Bali Masters2014 Bali Masters Kicks off!